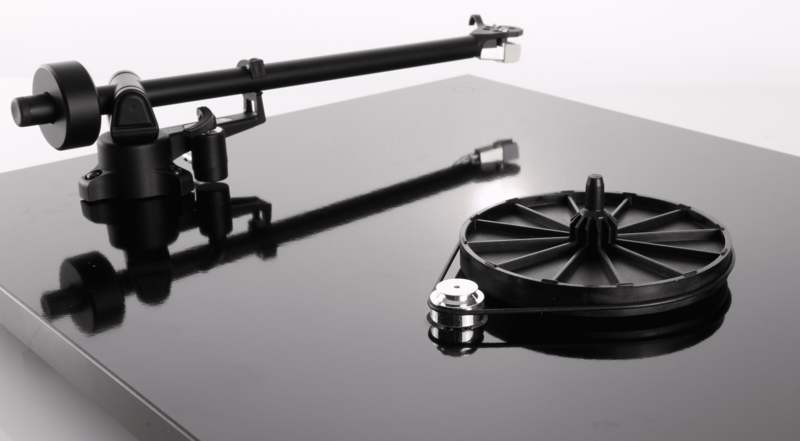 REGA PLANAR 1: The Best Budget Turntable…In The World…Ever? The Rega Planar 1 has been out and about for a little while and so Paul Rigby has been able to have a good long look at the thing before giving it a thorough review. He does more than that, though. He asks if potential buyers should bother buying one at all or hunt around for a second hand P1? One of the legends of the budget turntable genre, Rega’s introductory turntable design, the P1, was first introduced in 2005 with a MDF platter. The P1 was upgraded in 2010 with a Phenolic resin platter. Finally, the design was the subject of a major design revamp with a host of changes – which will be listed below – along with a name tweak to become the Planar 1. The large list of design changes promises an improvement in sound. I was and still am a fan of the earlier P1 but I wanted to see how the new changes have been implemented in practical and in sound terms. Hence, I decided to review the new Planar 1 while also comparing it to the older P1 model, in this case the 2010 release. As the Planar 1 is sold in greater and greater numbers, the quantity of older P1 decks available for second hand purchase will increase too. This factor is important, especially for the budget-conscious user. Saying that, though, actually scouting around eBay, I noticed that the original P1 is still being sold at the full price of £248 via ‘Buy it Now’ deals while auctioned decks include a recent model for just under £200. Other sites, such as Gumtree, have models available for between £170 and £200. As you can see, the Rega kit tends to hold its price pretty well which is a good thing for buyers, in the long run, who might want to offer their turntable for sale as second hand items. So, should you look at buying second hand and so save a few pounds? Is it worth the savings? And just how good is the new Planar 1? Does the new turntable enhance sound quality at all? If so, by how much? Enough to shell out for the full retail value? One of the more appealing aspects of Rega’s design policy is the lack of fuss. The new Planar 1 – like the RP1 – is minimalistic in terms of general design. Actually, the new Planar 1 takes that notion to the extreme because it moves the power switch from the upper front left of the platter. The new switch is still around the front left area but you can locate it underneath the platter instead to enhance the clean lines of the Planar 1’s piano black finish: it’s far more stylish than the textured vinyl of the original P1. Both turntables include a built-in tonearm and cartridge. Both are set up correctly from the factory. 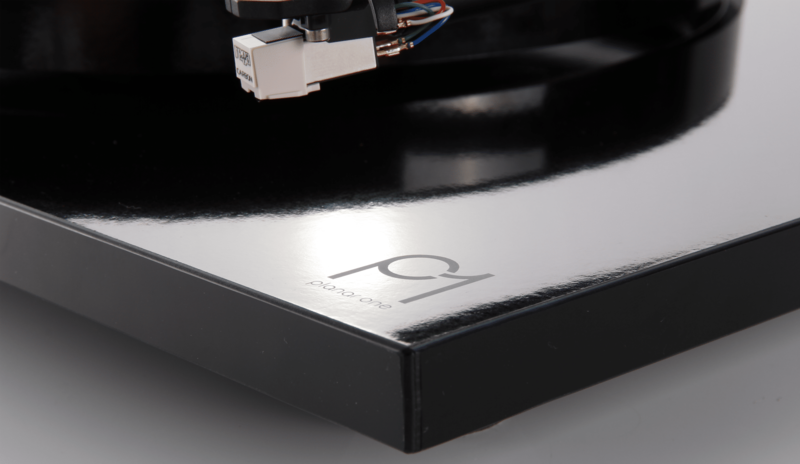 Rega’s P1/Planar 1 are both very easy to set up and both score over the immediate competition in terms of the amount of steps and parts you have to play with. This is a ‘good thing’. Firstly, it reduces set-up time but also frustration. The latter is minor but definitely there on some competing designs. It irritates the hell out of me whenever I have to review a piece of hi-fi and, before I can power up, I have to attach the right set of prongs to the plug. And I’m given three sets to choose from too. If you’re not used to this sort of thing, this one simple and relatively minor task can cause some tension as the prongs often do not easily fit the first time or require an odd orientation. It’s a silly thing in the grand scheme of this turntable but I still applaud Rega for giving me a ready-made plug! Another speedy set up point is the tonearm’s rear-mounted weight. There to assist you in setting up the cartridge downforce. Competing decks ask you to push the weight onto the rear of the arm and then, using an appropriate tool, set the correct downforce. Although I can do this task in my sleep, many beginners have never done such a thing in their entire lives and the prospect can be scary, never mind that they might even have to spend more cash on the required tool. Rega cuts this step out. You push the tonearm weight onto the rear of the arm and push it until it reaches a ‘stop’ point ridge. When the weight cannot move any further, you’re done. That’s it. The weight is at the correct point and you can move on. A blessing for any beginner. 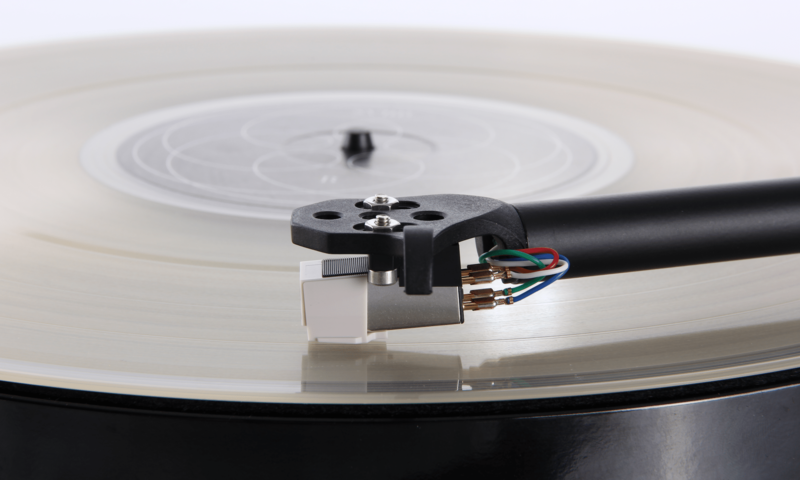 To get you up and running, Rega also places a brief step-by-step set of instructions actually on the platter. You don’t have to open plastic bags to locate the manual, find the page and the instructions you need. Rega has them right in front of you, in plain view. Removing the manual from the packaging is a genius idea. Manuals, for beginners, are scary and should be shot at birth. They trigger uneasy memories in the user of receiving manuals spanning 4,000 pages over seven hard-backed, leather-bound volumes…the last time they bought a DVD player (I exaggerate, yes, but that’s how it can feel). The Planar 1 gets you up and running in nine bullet points spanning three square inches of white card plus two tiny inset diagrams. Yes you could have extra detail showing alternative views of the turntable, more blow-up diagrams and more hand-holding text. There’s a balance to these things, though and I believe that assuming the user has basic intelligence is one of those things. Not talking to the user as if they are five years old is a nice attitude to take. There is enough information on this Quick Start card to get you going. Changes have been made to the tonearm itself which has been designed specifically for this turntable and will only ever be seen on this turntable. The new RB110 includes a brand new security latch to keep a tight hold of the arm when it’s ‘in dock’, as it where. This latch is superior to the original. The new arm also does away with anti-skate requirements, using an opposing magnet system instead, built into the turntable. This just adds to the saving of time but also any demands for ugly bits of sticky-out wiring supporting ugly lengths of fishing wire dangling unsightly bobbly bits of lead weight. The P1 had a simple anti-skate setting arrangement but removing anti-skate totally also removes yet more worries from the beginner. Talk to any turntable beginner about anti-skate and most will think it involves lots of ice somewhere or other. I did talk to Rega about this change and they were concerned that a lot of users were not setting the anti-skate on their new decks because they either didn’t read the original manual properly, didn’t understand anti-skate or were afraid that, by altering this area, they might “break the turntable”. 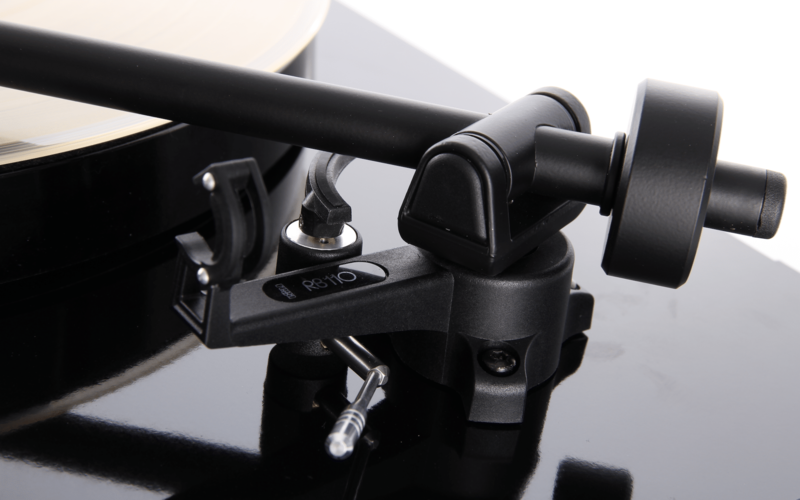 Rega’s new system removes the headache while automatically applying a correct setting for the arm and cartridge. The Rega does have one contentious element and I’ve scratched the ol’chin on this one point. It related to speed changing. To move from 33 ⅓ to 45rpm and back again, both the newer Planar 1 and older P1 ask you to lift the platter to expose the motor and belt and then you have to gently transfer the belt that ultimately rotates the platter onto a different groove of the pulley. It takes a few seconds, is painless and you quickly get used to it but it’s not as convenient as flipping a switch on to of the platter. This, I grant you, might concern a few beginners and might irritate a few others. Finishing my chin scratching, I decided that Rega is correct to relegate speed changes to belt moving. Why? Because changing the speed has nothing to do with the final sound quality. That is, adding a convenient switch will not enhance sound quality. The other changes to the Planar 1 either add convenience and do not affect sound quality or just enhance sound quality without compromising convenience. 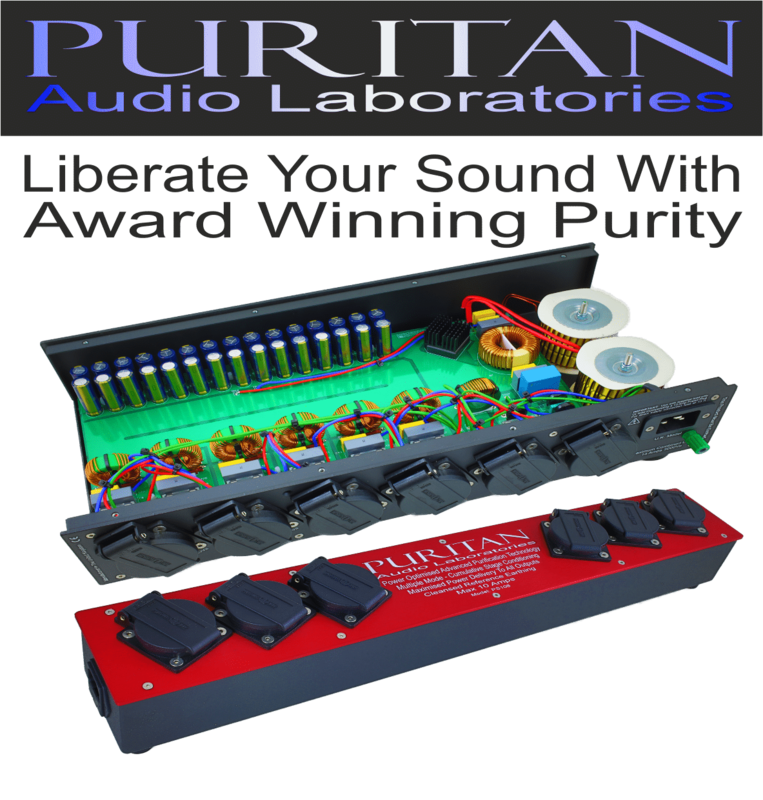 Adding a speed switch to the plinth of the Planar 1 would actually compromise sound quality. Think about it, this is a £248-priced turntable. That, in the grand scheme of things, is not a lot when you consider that Rega has to push out the door an easy to use, audiophile, non-Crosley-type, design that sounds great. Of the set build budget, therefore, every penny counts. An automatic speed changer will eat up a chunk of the build budget meaning that sound quality will suffer. Why? Well, because something else would have to go. Or the quality if something else would have to be reduced to free up the extra cash required. Also, such speed changes can introduce noise into the system, degrading sound quality. Other improvements over the older P1 include a brand new 24V, low noise, synchronous motor (the first budget design from Rega to include one). It arrives with a new motor PCB and aluminium pulley offering low noise and better speed stability too. The plinth is also new…as is the 23mm, higher mass, phenolic platter. The bearing it sits on has been re-designed. It’s based on brass but includes a better fit, removing stress on the bearing itself whilst minimising the transfer of potential energy. Rega even has a patent pending on this one. Even the feet have been enhanced and changed, designed originally for the Rega Planar 3 and brought over for the Planar 1. The turntable arrives with an excellent Rega Carbon cartridge. I decided to use Connie Francis’ original pressing Sings Bacharach and David (MGM) from 1968 in which she fronts a large orchestra. From the off, I could tell that the Planar 1 offered a reduced noise environment. Noise masks musical information. Remove it and more music comes though. That’s what I was hearing here. Secondly was the lead vocal which was far more focused than the P1. The P1 suffered from a touch more noise which meant that mids on the vocal smeared a little producing a touch of stridency on crescendos. I say this as a comparison to the Planar 1 only. 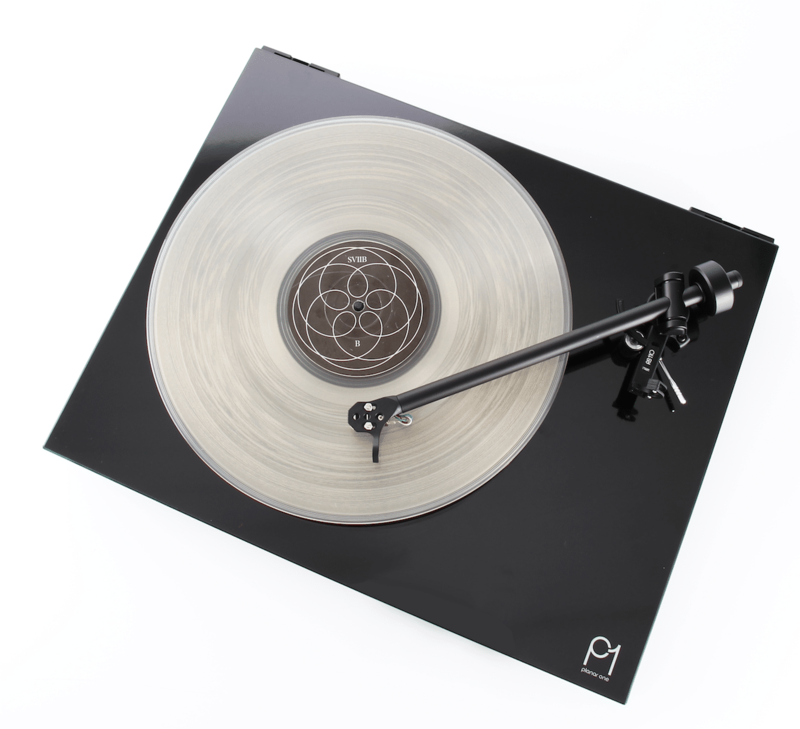 In comparison to many other budgets turntables the P1 is sonically superior. Nevertheless, the Planar 1 provided a clearer and very stable lead vocal performance that not only helped clarity but Francis’ diction. Midrange, in general terms, provided a smooth output with both trumpet and the string section flowing with a sense of elegance and ease. Piano was both rich and full with a new air of lightness about the notes which now seemed to dance politely across the wide and broad soundstage. The stereo image was a busy area. Behind the Francis vocal was a tight guitar strum, thought most of the song that sat alongside a series of cymbal taps. Both the guitar and cymbals provided new information and detail with, for the cymbals, open and delicate treble response with a characterful guitar sound. Character was also what the bass provided in terms of the bowed double bass and the firm yet detailed lower frequencies. Next was a more contemporary pressing and the high energy sounds of Die Werkpiloten via Germany’s Vinyl on Demand label from 2012. This drum heavy LP offered gloriously tight, punchy but not dry percussive bass. It’s all very well having a strong bass but if it lacks any sense of the organic then it tends to lose emotion (unless that’s the artist’s intention, of course). If there’s one thing that annoys me is when a piece of hi-fi makes the decision for you. The Planar 1 offered strength and a bass impact that was potent and convincing but always with a sense of the emotional. Vocals also provided emotion, giving texture to the lyrics with midrange subtlety and nuance that, added to vocal emphasis, provided a sense of performance to the song. Again, the music provided a humanistic feel. Budget gear can often strip this important element from its design. The Planar, for the price, had it in spades. The low noise aspect of the turntable meant that manic electric guitar sequences provided more detail and precision while, on the other end of the scale, rather shy synth runs were ‘visible’ to the ear and where never masked by any threats of blooming bass or smearing mids. This also occurred with the bass guitar which, on this LP, could be rather recessed into the depth of the mix. The low noise allowed the ear to follow the bass guitar throughout the songs without any trouble. If you can find one cheap enough, grab a RP1, it sounds excellent and will serve you well. That said, if you can save up for a new Planar 1, go for that instead. The more I used the turntable, the more I realised that this is not just a budget turntable, it’s the ultimate budget turntable. It does everything that a budget turntable can do and should do in terms of its consideration towards the customer but also its respect for the ears of the same in its search for top quality sound for the asking price. Love it as a backup/main deck. If you think of it, they have the best budget turntable, the best budget amp and probably even the best budget cd-player in the world. Smart company. First of all thank you for the great reviews you provide, I must have spent hours here in the last few days. I wanted to ask what budget amp you would recommend to be used with the REGA PLANAR 1 and active speakers. Thanks for spending time here, Salih. I appreciate it. What budget are you looking at? Unfortunately right now I am only limited to £50-100. Hi Salih – I looked again at your question and, if you’re using active speakers then the amp is already included within the speakers so you don’t need to buy one. Just grab a phono amp and plug that into your speakers directly. A Rega Fono Mini A2D is £89 from Amazon. Thank you for the quick replies and the suggestion, looking forward to your future content. Would I be able to plug this straight into a Naim Muso or would I need a pre-amp? Sorry if this is a basic question not my area of knowledge but would appreciate any help. Hi Simon – not a problem. The Naim is really a stand-alone powered wireless speaker(s) system that’s used to connect a range of digital sources from phones to DVD players or wirelessly via Bluetooth, etc. It’s not really designed to hook up to a large hi-fi system. It’s more of a lifestyle thing. For the Rega, you’ll need a phono amplifier and a main amplifier (you can often find an integrated amplifier with a phono amp built in – you’ll see a pair of Phono sockets on the back as proof of that). Then you’ll need to hook up a pair of speakers to the amp and you’re off. So, you’ll need at least an amp (with built in phono amp) plus speakers to get a Rega up and running. If you need buyer’s advice on those, let me know. Hi Mr. Rigby, Thank you for the excellent review. Could you suggest a budget set of speakers that provide good sound quality that have the built in amp as you mentioned above? Not a problem – what sort of budget are you looking at KT? Nice review! The question I really have is should I hold out, spend a bit more and reach for the planar 2? Hi Carl – you could be there forever, constantly looking up to the next model above, always yearning for the next turntable that’s just out of reach. My advice is to buy the best turntable you can afford and be done with it. If that’s a ‘2’ then buy that. If it’s a ‘3’, then get that. The main thing is to enjoy your music. Don’t forget, you can always upgrade again in a few years time when more funds are available. Paul, I’m in the US. What budget amp/receiver under 250GBP do you recommend to pair with this table? Or for the money, do you prefer powered speakers and a standalone preamp? I’m looking at the Cambridge Audio Topaz AM10, but wide-open to suggestions. Thank you. 3. Yamaha MG10XU has two Mackie monitors hooked up to it. Sound is still only coming from Rega Planar 1. Help? Thanks for your query. The connections look fine…although the phono amp to the Yamaha might be the issue here. To confirm then, the MG10XU is a mixer only and then you run to the Mackie speakers which are both powered? Can I ask why you use the Yamaha at all? Why not just plug the phono amp directly to the speakers? This will give you a purer sound (the more boxes in between you and the sound, the more chance you have of degrading the sound) and you might just hear something too 🙂 Don’t forget to watch the volume knobs on the front of the speakers too, of course. If this doesn’t work, give me another shout. This sort of thing is frustrating, I know. Happens to me all of the time. Hi Paul! I have just ordered the white Planar 1, and cannot wait for it to arrive. I am new to setting up hi-fi/turntable system, and I have ordered the marantz PM6006 amp to combine with the turntable, and a pair of Q acoustics 3020 speakers. Do you consider those components suitable for the Planar 1? Then flick through the images of the unit itself (click on the right arrow to run through them) and click the ‘Enlarge’ button for that rear view, do you see the two Phono sockets on the far left of that image? That’s where the Rega’s cables need to be connected. Excellent review. Excellent site. Will the Planar 1 pair up well with the NADC368 and MMGi speaker system (with bass panel) and will it be a noticeable upgrade from the Pro-ject RPM 1 Carbon? Then I would look to change the amp to something a little bit more insightful for your speakers. Decided I needed to get back into the vinyl of my youth and your review convinced me to buy the Planar 1 instead of another turntable I was considering. I also sprung for the upgrade package. It arrived today and I could not be more pleased… as I write this I am spinning an original 1981 pressing of Iron Maiden “Killers.” I paired the Planar 1 with a Schiit MANI phono-amp, a Schiit SYS (for switching between my two sources, iMAC and Turntable) and a Schiit ASGARD 2 headphone amp. Thanks for the review. Hi Bill – glad you’re liking it! Congrats on the purchase and I’m happy that I could be of help. Great review Paul. My old Rega Planar 2 is now looking decidedly battered and bruised, and almost certainly needs a new drive motor. While my ancient Celestion Ditton 66 speakers have been relegated to the spare room by my partner(! ), to be replaced by the funky B&O A9. I therefore figured a good looking, quality, budget turntable would suffice as a replacement. I was teetering on the side of the P1 anyway, but I’m happy to say your review has finally tipped me over the edge, so to speak. Glad I could help, Graham. Thanks for the review. I’ve got about £500-700 budget for amp and speakers, having got the planar 1. Any particular combo you’d recommend? With this set up, which cables would I need and how many of each? Just trying to order now so would be good to get right the first time! Thanks! You’d need a pair of interconnects to go from the phono amplifier to the main amp. Then a pair of speaker cables to run from the amp to the speakers. Hi Chofou – for £200, the AM10 is not a bad amp. There is very little competition, at that price, which I would take seriously. It features a built-in phono amp which will save you more money. An external phono amplifier is better but, of course, that means more money. Hi Paul – I am finding your site very useful and informative. I just got the Planar 1 and am very excited to get it hooked up. I am pretty obsessed with music but I’m also new to audiophile-land. I’ve heard great systems in the past, but I’ve never owned one. I am curious what you’d recommend purchasing for amp (+phono amp) AND speakers with a budget of £1,800 – £2,200 total all-in? I would possibly stretch to the £2,600 range if my “bang for buck” were significant. I am very much learning here and slightly over-whelmed. I also realize how there will always be something better, so I just want something I can be happy with to enjoy the music that I have on. Thanks for your time! Hope you are having a happy holiday! Also – if it matters for what you’d recommend, I am in the USA. Hi Kris – glad I can be of help. Right, before you run off and spend your cash, you need to stop and think. A lot. If you’ve got a Planar 1 and you plan to create a hi-fi system with it by adding an amp and speakers what you should not do is spend thousands on the amp and speakers because the entire system will then be unbalanced. Frankly, the amp and speakers will be too good for the turntable. The most important part of an analogue (or analog in the USA :)) hi-fi system is the turntable. So, the Rega is, what, $475 in the USA? That should basically be the most expensive part of your hifi chain. Why? Because this is the source. This is the bit that extracts the information from the vinyl grooves. If the information is not extracted at this point, it won’t appear from the amp or speakers, as if by magic. Hence, if you want as much information as possible, invest in the turntable/arm/cartridge combo. Thing is, you’ve bought your Planar 1 already. If you had talked to me before and said that you had a budget of around £3,000 (or is that $3,000) then I would have recommended a deck superior to the Rega Planar 1. Again, you need to think before you move forward. There’s a couple of options here. You can build a Rega-based system for much less money (and spend around $500 each on the amp and then speakers) and save for a future series of hifi upgrades or you can send the Planar 1 back (if possible, not sure how you’re fixed with that one) get your cash back and start again. Let me know how you want to move forward. Oh, I certainly don’t HAVE TO hit that dollar. I’m perfectly happy with this turntable. Now the goal is to make it the best that it can be. That was more my point. If it means only $500 each on amp and speakers that makes me (and wife) HAPPY. Hahaha. So, I guess what would some of your recommendations be for this turntable be to fill out its potential? Appreciate the help and comments! Grab some QED interconnect cables plus QED speaker cables too, if you can. Adjust the type of cable to your budget. Considering a similar budget to that mentioned above, but wanting to go to a headphone amp instead of a proper speaker amp… What would you suggest? Hi Payden – so you’re looking for a headphone amp with a phono amp built in and pre-amp facilities I guess. This is a specialist job but there’s a couple of units out there that can do that job. I assume you’re looking at a lower cost unit, which limits things a tad. Not the Shanling that you mentioned elsewhere but the Furutech GT40 is one. Why do you want to go down this route, though and what is your budget? I can clearly see the benefits of a separate head amp as it reduces noise and allows more space inside the head amp’s chassis to feature superior components. That said, if you then add a phono amp, etc, to that chassis, then the benefits start to reduce again. No, the idea was to have the preamp separate. The above mentioned Rega Fono Mini phono A2D preamp. From the preamp to a headphone amp, similar to the Shanling? Or if you’d suggest another around that price? I definitely understand that adding preamp to the same chassis as the headphone amp wouldn’t give me the same benefits, trying to shove too much in so little real estate. The idea is a somewhat portable headamp that would work with the Planar 1 and Rega Fono Mini preamp but that I could also take to work and use with my computer there. The Chord Mojo does feature inputs though. Again, I’d like to check with Chord if you’d want to connect a turntable to it. Let me know how you’d like to proceed. Yes, the plan would be to use the Rega as the pre for the shanling. I have access to the converter cable for the line input on the H1, so no worry there. So, I guess the appropriate question is “Does going from my planar 1, to the Rega as pre amp, through converter cable to shanling and from there to headphones still give me a decent setup?” Would the use of the shanling be compromising my listening experience? (I know headphone vs. proper amp and speakers is an entirely different discussion). Thanks again for your time and expertise. Hi Payden – not a problem. If the connections can be made, then the set-up will be decent, yes. As for ‘compromise’? That’s governed by budget, space, etc. You do what you can 🙂 Let me check with Rega on Monday re the connections and I’ll get back to you. There appears to be two input sensitivity settings of 520mV (low gain) and 260mV (high gain) – setting to the high gain setting should do the job, but it could be worth trying the low gain setting. The user will need a phono to stereo 3.5mm jack (jack tip = left and ring = right) – this will have a stereo jack on one end and two phono’s (L+R) on the other. Great, many thanks for reaching out to them on my behalf. Think I’ll give it a try, and if it doesn’t work out (although I think it will), at least it’s a new headamp for other uses! Hi Paul, great review on the Planar 1. I’m looking at adding a turntable to my system to revisit my vinyl. I have a Naim Unitiqute 2 with Kef LS50 speakers, how do you think the Planar 1 would work with that setup or should I perhaps consider the Planar 2? Also can I connect the turntable directly into the Unitiqutes ‘ Analogue’ sockets – is that just another name for Phono?. Hi Graham – if the two analogue sockets on the rear are unoccupied by anything else, then you’re fine. Saying that, you’ll need to budget for an external phono amplifier. You’d plug the Rega to that and the phono amp to those ‘analogue’ sockets. If you need help on the phono amplifier, give me a shout. If you can afford a Planar 2, go for that. Otherwise, a Planar 1 is an excellent buy. Thanks Paul, I would certainly appreciate some advice on a phone amplifier please, it wasn’t in my original budget so nothing too pricey please, the Rega Fono Mini phono amp seems to get good reviews. Yep – go for the Fono. That’s a good buy. Hey Paul, I have been itching to get into vinyl for about a year now and this Christmas I decided to take the plunge! After reading your review of the Planar 1 I am sold and picked one up on sale for $399CAD. Now I see other posts saying to pick up the Q Acoustic 3020 speakers to pair but they dont appear to be sold in Canada or at least not for the reasonable price they are in the UK. What other speakers do you recommend? I was thinking the Audioengine P4 as they are white, so they would match the Planar 1 and are on sale for $299CAD. Also I am a bit confused about the amplifier situation, do I need to buy one of these $300-$400 amplifiers, is it worth it? Seems kind of crazy for a $399 turntable but this is my first rodeo. 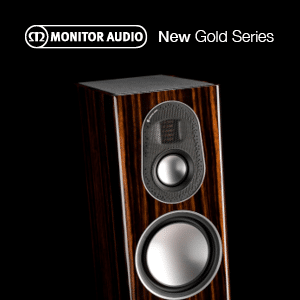 Hi Drew – Monitor Audio Bronze 2 speakers are good as are Dali Zensor 3 speakers. Can you access those? For that price, either a NAD D3020 or it might be wise to head off to Japan and possibly an Onkyo model. An A-9050. Thanks for the quick response! I will take a look for those speakers. As for the amplifier I found the NAD for $399CAD which looks to be cheaper than normal. I also must say I am a fan of the more compact look of it compared to the other big receivers. Do i need any other “amplifier” or is this the only other piece I need in addition to the speakers, turntable and wiring? (sorry if this is a stupid question I am a rookie). Drew – please don’t apologise. There are no stupid questions. Only people who want to learn. That includes me, incidentally. I learn more from my readers than from most experts in the industry. The fact that you are asking the questions at all shows your wish to learn which is wholly admirable. On this site – never apologise, ok? And you’re right – you do need to buy an eternal phono amp for use with a turntable but the NAD also gives you Bluetooth and a DAC. Can you spare any extra cash for a phono amp? An external phono amp is superior than an internal model, by the way, so well wroth the effort. Fair enough, thanks. Yea I can spare a bit more cash on a phono amp, although this set up is turning out to be more expensive than i initially thought 😛 Looking at your previous recommendations it looks like my ideal setup will be NAD D3020 ($399 CAD), Fono Mini AD2 ($219 CAD) and Rega Planar 1 ($399 CAD) with whatever speakers I can find in Canada at around $299-399CAD. Oh well, this is a life long investment right, or at least I can tell myself that. Thanks for all your help, and keep up the good work on this site! Im leaning towards purchasing the Rega Planar 1 but dont know much about setups… I already have Sonos speakers and built-in bluetooth speakers in the living room… I like minimal set up options… any suggestions on how to proceed? Thanks MH – The best way would be to buy a Rega, then a separate amplifier and a pair of speakers. I fear that your present set-up might not show the Rega at its best. Great for digital convenience but not the best route for vinyl. Thanks for the excellent review. Would you happen to know the exact size of the plinth please? I’ve contacted several stores and got different sizes – there is no mention on the Rega site. I have discovered that there is a mains transformer that plugs in and that the fitted audio cables are 1m long. I’m replacing an elderly Goldring Lenovo GL69 deck that measures 350mm from front to back (size really matters in this case!). Let me ask Rega about this one Brian because I’ve returned my review sample. Thanks Paul – there was no easy way to email from the Rega site. – to buy Rega Planar 3, defend it from my girlfriend and be fine with it and happily upgrade the rest of my system in the future. – to buy Rega Planar 1 to get a feel for it and few years later if I feel the need, upgrade to higher model. There’s a few issues here but, reading your text and your circumstances, I would recommend a Planar 1. Once you’ve bought that, it will then show up all the issues of the amp and speakers, I’m afraid. Both are adequate but not much more. That said, the Planar 1 will be a definite improvement so it will be a positive start. Next up will be the amp, then the speakers. When you have a budget for either or both, give me a shout. In terms of sound quality, you will get far more from a decent budget turntable than a decent CD player. Thank you so much Paul! Your advice us much appreciated. All the best in the new year. How would you compare the Rega P1 to the Pro-Ject Carbon Espirit DC? I’m trying to decide between the two. Seems to be tonearm and platter differences mainly? Cartridge as well. I have yet to compare both decks, Glenn but the Esprit is almost £200 more expensive than the Rega so I would expect the Pro-Ject to be superior in terms of sonics, knowing Pro-Ject as I do. Can’t confirm – just an educated guess. Hi Mr Rigby, I read your review with interest. I was thinking about replacing my turntable by a decent one. My father gave me his Technics SLB2 who is a nice one and work fine but i would like to go further with my records playing. I ‘ve been looking for some vintage TT but prices are getting higher and higher those days and I’m a bit afraid to get one of those and having bad issues a few time after, being obliged to spend again some money to fix it. So i thought about the REGA RP1. I saw one on the french market – https://www.boulanger.com/ref/1089870 – but, as you can see on the announce,it’s only written ‘REGA PLANAR’ instead of REGA RPxx. It’s discribed as a RP1 but with some upgrades (like the glass platter, a different belt) for only few Euros more. It seems to me to be a good deal but I couldn’t find any information on the web and I would like your opinion about it. Do you think a REGA could lead me to a higher level compare to my Technics (especially this perticular model) ? Also, my set up is an Akaï AM2400 for the amp and speakers are TEAC SE 300 (from the early 80’s,a bit rare but good stuff here…), what do you think ? Best regards from France, Thomas. Hi Thomas – your English is fine, don’t worry about that 🙂 My first ever turntable was a SLB2, so I’m familiar with its pros and cons, shall we say 🙂 The Planar 1 is sonically superior to the RP1 and I would recommend a new deck, if you can spare the cash, because it will provide you with legal protection in terms of delivery condition and in case of problems in the future. Also, everything will be new and tested and will work fine for a long time, if treated with care. Once you get the turntable, upgrade the amp next, then the speakers. When you are ready to do that, come back to me and let’s talk. Hi and thanks for the reply 🙂 So, i really think i’m going for this Planar 1. Sorry but i still have a (stupid) question : do you think the difference will be clearly noticeable with my actual set up (amp and speakers) because if I get this turntable, i won’t change it before a year or two (need to save some budget for works in my house) ? Hi Thomas – in my opinion, yes, you’ll hear the difference. When you upgrade the amp, you’ll hear further differences and so on. The turntable is the most important bit, though, so this upgrade is the most important. PS, sorry for the double comments, I thought the 1st one did not work…. Glad I picked up a Planar one last week as my first ever tt. Hooked it up to a Pioneer A-A6 amp with built in phono input. Speakers are Dynaudio 140s and a System Audio SubElectro 200 Sub. Right off the bat, I find the overall sould pleasant, but the highs are lacking definition, sounds like the cymbal strokes are spread too thin. I have also ordered a Schiit Mani preamp, which hasnt arrived yet. 1) Does the cartridge improve over the 30-40 hour long burnin like people say? 2) Will adding the Schiit Mani to the setup add any significant changes? Have you tested this model yourself? 3) If I consider a cartridge upgrade to the Planar 1, would a Nagaoka MP 110 be an easy and worthy upgrade? Would I need to align such a cartridge before use or is that going to be plug and play like the default Carbon cartridge on the Planar 1? Hi Jeevan – thanks for your questions. Nice system – never been a big fan of Pioneer amps, gotta admit. They try hard and they are fine but there’s better out there. The MP110 is a quality cart but I think the Goldring E3 is the standard in this price point. It’s a bit cheaper too. Thanks for writing back Paul. The Schiit Mani arrived today. It is a stellar performer. The sound has improved and is almost CD like now. The earlier problems were clearly because of the phono input on the pioneer. Maybe it was meant for a different type of cartridge? Thanks for the suggestion on the Goldring E3. Rsearch more about that now. But the supplied rega Carbon is quite adequate and great sounding, I feel.. for now (lol). Tried a bunch of fresh records today, And they all sounded extremely satisfying with good bass mids and treble extensions. I shall follow you and check in with questions and advice for sure. Many thanks! You are fantastic. Im gonna go see if you have a youtube channel. Thanks Jeevan – I do have a [quiet] YouTube channel but it’s, well, not really a proper channel. It’s more an archive for some video tests I did to accompany several reviews. They’re not great quality – experimenting in public can be a painful experience! Having learnt through many mistakes, I’m saving up for better equipment and will relaunch when I rejig my set-up. Hi, Paul. Firstly, many thanks for that insightful review. It is really helpful. Secondly, I was looking for a REGA PLANAR 2 review but I can’t find any. Would you be so kind to tell me the main differences between the PLANAR 1 and PLANAR 2 and if it worth the try to buy the expensive one? Hi Emliano – the differences are quite significant including a new arm and platter, so definitely worth the extra cash. If you’re looking for the long term, then I’d recommend going for the ‘2’ and upgrading the rest when you can. That said, if money is very tight and will be for a while then got for the ‘1’ and buy the rest now. I can help with the other components if you want to let me know your budget. I’ve been looking for the Planar 1 or the Planar 2. The amp I have at te moment is an old Sony amp and the speakers are B&W 685 (not S2). I am planning of replacing the amp too. With the speakers in mind will the Planar 2 sound better than the Planar 1 (the chain is as strong as the weakest link). Hi Joran – no matter what the rest of the chain is, the source should be the best bit in it. The source is critical as it’s the bit that retrieves the information. This info can’t suddenly reappear just because you’ve got a superb amp or speakers, for example. They just make the limited info you already have sound as good as they possibly can. Hence, I’d go for the Rega 2. Then I’d advise upgrading the rest, as and when you can. Hi Paul, Thanks for the advice. I’ve ordered the Planar 2! I will connect to a HQ Phono preamp 220 (el cheapo). I’m thinking of purchasing the Rega Mini A2D any time soon to replace it (good idea?). What do you think? Do I need to upgrade the B&W’s? I’ve read some good reviews on these speakers. The Receiver is a Sony STR-DG300. Perhaps that should be the next component to upgrade? Hi Joran – yes, the Mini A2D is a good idea. I wouldn’t waste your money – if your budget can take it – grab the Fono straight away. I would go for the amp next, then the speakers, yes. When you’re ready, come back and we can talk about that. Thanks for your earlier advice. We went to try a Planer1 and came home with the 2. I have a new question (sorry) – the Carbon cartridge – is it comical or elliptical? Could you suggest an upgrade – Bias2 perhaps? The Carbon does not seem to have the output that my Lenox deck had so volume needs upping a bit. Very pleased with it so far – thanks again. Hi Brian, not a problem. Always here to help. Thanks Paul. 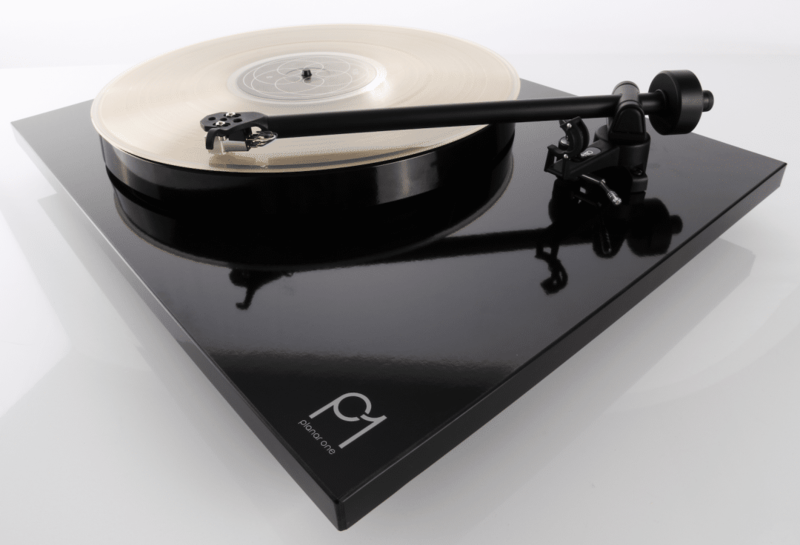 The Rega upgrade might be the way to go – belt, mat and Bias2 for, I think, £98 ish. So – after some agonising – I finally settled for the Elys2. Wycombe Sound Gallery could not have been more helpful (bought deck from them last week). We had a discussion about various options, including the upgrade route. I sit here now listening to Pink Floyd building some wall and I’m sure I’m hearing things I’ve not heard before! I think, at this price point, which I know most would say is the budget end of the market, that the Elys suits my system well enough (Denon 880R into Castle Chester’s bi-wired). Thanks again for your most helpful reviews and the time you have taken with my enquiries. No problem Brian – glad to hear that you’re happy with your choice. Thanks for the great review! I’m looking for a new turntable. Do you think this one is the best under the 400 £? Or is one of the Pro-jects better (debut III, essential III, recordmaster). Now i only listen with streaming (Spotify) to music and i have two Boston Acoustics A 250 speakers and a Pioneer AV-Reciever VSX-824. The pioneer is probably not the best optoin for listening to music, i guess, and movies doesn’t interest me at all… But i had no idea when i bought that in a big shop. Do you think the quality of the sound of a turntable as the Rega Planar (in combination with the Rega Fono Mini A2D) will reduce a lot cause of this reciever? Is it still worth buying the turntable? Or should i buy another amplifier if i want to enjoy good quality sound of my venyl? I did and have now the Rega turntable and Fono. Very happy with it! Already doubting about the Rega Brio amplifier now :). The shop where i bought the turntable and Fono this weekend is willing to take the Rega Fono back if i change my mind and want to buy the amplifier. I just have to look up what i will need to stream with spotify (cause my vinyl collection isn’t that big yet 🙂 ). Glad you’re enjoying the deck! I strongly advise you – if your budget can handle it – to keep the Fono, even if you buy a Brio. An external phono amp is always better than a built in model. The Brio, as an amp is superb, though. Both would be ideal. This all depends on your budget, of course. How much are you looking to spend on your streaming kit, by the way? I’m looking at setting my son up for vinyl. He currently routes laptop etc. through a Focusrite Scarlett 2i2 interface, connecting to a pair of Focal Alpha 80 monitors via 1/4″ to XLR cables. If possible I’d like to avoid the Scarlett box. I was planning on getting a Planar 1 outputting into a Fono-Midi A2D. If I take the output from the phono stage directly into the back of the Alphas via two RCA cables, do you know whether that will work? Any advice will be greatly appreciated before I go out and buy the wrong set-up!!! Also, would you recommend the Planar 1 over the Project Essential 3A (with acrylic platter)? I’ve never used these speakers before, Tim. Can you tell me, is there an RCA socket on each speaker or just the one? Yes, each speaker has a dedicated XLR and RCA input on its back. If you don’t mind Google Imaging ‘Focal Alpha 80’ you’ll be able to see a picture of what they have on the back. This should be fine then Tim. Each RCA cable (left/right) can travel from the Fono to each speaker. Apologies for a dumb final question but I have no experience of powered speakers personally, will the final output signal be strong enough? There are no dumb questions in hi-fi, Tim. Keep asking. As for power? That depends on the amp stuffed inside of the speaker(s). As I say, I’m not too familiar with them. In this case, looking at the info I can glean, I would venture to say ‘Yes’. Hope it all works out for you Tim. I really enjoyed reading this review and really happy i came across it! I have been researching turntables for some days i was close going for the Sony pshx500 firstly with the 5* in WhatHiFi and also as i got rid of my separates a couple of years ago and replaced with a Naim MuSo, without knowing too much about turntables and phono pre-amps i figured i could get speakers and be up and running, with a view to upgrade to pre-amp\integrated amp, Also figuring i will find another use for my muso but into buying my vinyl mostly (house, soulful house\disco\soul genre). So after reading your review and other advise for similar budgets i have now tonight purchased a Planar1, Q-Acoustics Concept 20 + Concept 20 Stands…I was all out for following your advice and getting the 3020 speakers but at last minute i opted for the concept 20, whats your opinion on this move ? My next dilemma is i need an Amp, im looking for advice as i have also recently bought a new 4k TV and need a set up audio for that, i thought i could maybe use my MuSo via optical cable for this purpose, but im now thinking it might be an idea if i had an amplifier that i could also use the concept 20s for my TV audio also ? with a budget around £300-£500, what do you think my best option in this scenario ? I was going to buy the Rega fono but held back when thought of all this but maybe even with integrated amp be better of , im just not sure 🙂 whats your thought would be much appreciated! Hmmm – depends on how much money you’d like to spend here and which direction you’d like to go. I would use the Muso as your TV box and be done with that. I would then recommend looking at a separate chain for your Planar 1 as the Muso is not really geared for the Rega. The Rega is great, the Concepts are excellent (better than the 3020s), I would use a Fono as your phono amp because external models are always better than the examples you find inside an integrated. Can you stretch to £598 for the amp? If so, get a Rega Brio. If not, the Cambridge Audio CXA60 (https://www.richersounds.com/cambridge-cxa60-blk.html) for £499 is a good amp too. Ok im happy with that, i have tested out the muso via blue tooth as awaiting a good optical cable but sounding good for the TV. The other thing i seen was Concept Center speaker as further upgrade down the road to use with the TV setup and the concepts but if sticking with Muso for TV then not needed i guess. 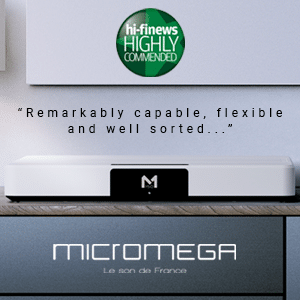 I did see you reviewed the Rega Brio and i liked it i thought i was pushing budget a bit as upgraded to concepts\stands..
As the Rega Brio has the built in phono stage would that not be good enough ? or do you still recommend the fono in addition ? If i need to wait until next month or so to get it i will, I also remembered i have one of them little Pro-Ject amp boxes, and thinking if i need to wait few weeks that should enable me to get up and running as will get all the other stuff in a couple of days.. I havent ordered speaker cable for the concepts i need 2M each way, anything you would recommend there ? In terms of cables? 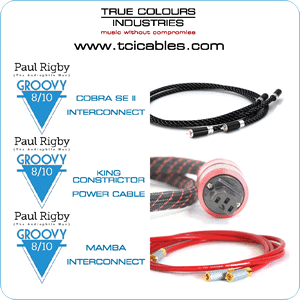 Best value for money for true budget cables currently are sold by QED. Buy the best speaker cables from QED that you can afford, basically. All QED are good, though, so don’t worry about it too much. Ok great thanks for reply, im still reading up, but think ive made my mind up i want the Brio and also the Apollo CD in future..Just one more thing, if i actually wanted to stream from iphone, itunes, sound cloud etc its not a show stopper as have muso but i think this going to be sounding amazing and shame i cant stream to it..What are my options ? Hi Marc – how about the Arcam rPlay for streaming? You can buy amplifiers with built in Bluetooth to save cash – the excellent Cyrus ONE is an example of that. A bit more expensive than the Brio at around £700. Bluetooth is included, though, which might help you. The Cyrus doesn’t feature Tidal, etc, though. Another way around that – although it’ll cost you – is to go to Naim again and buy something like the Unit Atom all-in-one which includes its own amplifier. You can plug in an external phono amp (like the Rega Fono) to support vinyl but the Atom is mainly a digital-oriented box. You can control it via an app too which you might like. It has a built in headphone amp and it supports Chromecast Built-In, Apple Airplay, TIDAL, Spotify Connect, Bluetooth (AptX HD), Internet Radio, UPnP (hi-res streaming) and is Roon Ready. Maybe this is more what you really need? You are looking at £2,000 plus the cost of the Fono but you’ll be getting everything you need, I reckon. The problem here is finding equipment that will give you a quality vinyl system and also one that provides quality digital support including streaming. Split these tasks into individual requirements to be bought at separate times when funds are plentiful and your price drops per box but if demand that they all be served in one go and the price goes back up. If cash is a stumbling block then you might consider buying one and going for the other later. Hence, you could keep the Muso for the TV and that will give you your digital streaming for now: Tidal, etc. Then have a seperate hifi chain dedicated to vinyl only for now, to include your Brio. If you then want to add Tidal et al to that vinyl chain, later on, then add a dedicate streamer to that as funds allow. That is, plug a dedicated streamer into your amp (like the Arcam rPlay at £400 or the Cambridge CXN at £700). Thanks for your time & replies its appreciated, i have realised how little i really knew about setups, but with help of this site\forum im a lot more educated 🙂 I have slowed down and worked out priorities and is to get my Vinyl listening in order. My Muso is going to take care of my TV soundbar adequately and potentially streaming needs if require to wait to upgrade. I still need to get what all the Arcam rPlay brings to the table and what benefits it will give me, im presuming it just goes into a line-in on the Brio and change Chanel to stream via bluetooth ? while reading i read about Chrome Cast Audio, is that not all the Arcam is doing ? can the CCA but used in the Brio ? If go Brio i will get the matching Apollo in a few months also but Arcam like £350 more, what other uses can the Arcam bring ? Im almost sure on the Rega Brio but both the Cambridge & now the Cryus One im liking but Cambridge still need bluetooth add on i think £70 or £80 and the Cyrus just built in CCA so i think the Brio still winning. So will order my Amp next pay day in couple of weeks and be up and running.. i so want to listen to the P! now but not possible : ) now that i have paid for the Fono i just need to decide on Amp and whats going to give me the best sound with my P1\Fono & Concept 20s, it seems purley on vinyl and my set up the Brio is the better of the 3 in that budget, i could order the Onkyo or Topaz now or wait couple of weeks and increase budget. I think i will be happy going for the £600 on the Brio and the following month on the Arcam rPlay if i can just understand more about the rPlay of benefits and what use it will give me overall at the moment with limited knowledge just seems connect my iphone via bluetooth but much be more benefits ? The Arcam is of use if you want to add streaming to your vinyl chain. Maybe that vinyl system resides elsewhere and away from your Naim, for example and you want streaming in a different part of the house maybe? If the Naim covers everything you need re streaming then you don’t need the Arcam. If so, the Arcam – which is Wi-Fi powered and does NOT offer Bluetooth – does offer Amazon Music, Tidal, Spotify, Qobuz, Napster and Deezer as well as internet radio, Apple Airplay and compatibility with NAS drives on the same network. There’s a dedicated DTS PlayFi app (there’s no physical remote). This can be plugged into the Brio. Yes the Naim covers my steaming and im happy with the sound but as i will be moving it into position to effectively be a TV soundbar my concerns is my new equipment is going to sound better than the Naim and swapping to from HiFi set up back to naim streaming in the same room im going to notice the difference and at that point prefer if i did stream even through bluetooth to be listening through my new setup. Apart from the great reviews on the Brio as i now have the P1 i was focused on the Rega route and build a Rega system and have the benefits of looks and compatibility between them all , my first thoughts was i preferred the look of same brand and not mixing up and various shapes and finishes so that is coming into my conclusions also. Im learning about streaming here 🙂 and has made me look into things and research and i think i have been using my Naim wrong and only using bluetooth to stream even though have Tidal Hi-Res Subscription by reading about streamers i can see the reason they have Tidal, Spotify etc built in, so can connect via your WiFi which i have not been doing! 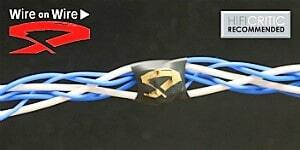 I still need to order my speaker cables for the concept 20s i noticed they have 2 sets of connections on the plates so presuming this is for Bi-Wiring, whats your thoughts on Bi-Wiring these Concepts ? If beneficial is it possible on the Brio ? Again i dont know about Bi-Wiring it seems some people prefer and improves on certain setups but what i have read still not quite sure, Cambridge say they dont offer Bi Wiring on any of their speakers but Q Acoustics must think its worthy to include i guess..
Hi Marc – For this system, price point and technology, I wouldn’t bother with bi-wiring. Keep it simple and stick with a regular connection. Thanks for help on this and actually putting me onto Rega & Q Acoustics for that matter : ) all down to your review. Ive now ordered everything it was an unplanned expenditure but excited to receive tomorrow . So went with the Rega Brio Rega P1,Rega Fono, Concept 20s & Stands,QED interconnect, QED 4M Terminated Ruby. I also got QED Optical for the muso to TV and working great! As this is my first real system, what is the breaking in ? How many hours would you say ? does it vary between components, do all need breaking in ? Hi Marc – it does vary – yes – 50 hours perhaps? Some of the items may be less. Great site and it’s fantastic to see such an interactive comments section, you should be very proud. I have a technical question that I hope you can help with. I have a Yamaha RX-V779 receiver serving all my current audio and video needs. The receiver sits in my home office with digital media such as an Apple TV, PS4 and AirPlay delivering the goods. It outputs via a very long HDMI cable (hidden in the walls) to the TV in the lounge. Plus two separate or combined speaker zones all using various Monitor Audio passive speakers. It works very well indeed and I’m very happy. Now the question. My home office does not enjoy the benefits of the receiver or monitor audio speakers (the speaker zones are the 5.1 setup in the lounge and the stereo speakers in the kitchen. I wish to setup a Rega P1 turntable in the home office and add a pair of stereo speakers to enjoy the product. But I also wish to use the turntable as a source to the receiver so I can output the audio to the lounge or kitchen or both. Meaning I want to hookup the turntable so I can use it on the receiver speaker zones or just a pair of passive speakers. To complicate things more I also wish to use the same passive speakers as outputs from the iMac also in the office. Maybe I am asking too much? Budget wise, lets say cheap enough to get the job done whilst not compromising the quality. Thanks for your kind comments, Neil – one quick pedantic point which might prevent possibly purchase issues in the future. The RP1 is different from the Planar 1. Both are superb but the newer latter deck sounds better than the older former turntable. As to your solution? One obvious solution is Bluetooth which the Yamaha features – correct me if I’m wrong on that one? The easiest way is for your turntable to talk to your Yamaha in such a way. Hence, I’d leave the Rega and go to Pro-Ject instead. The Pro-Ject Essential III BT (https://www.henleyaudio.co.uk/products/Essential-III-BT?DepartmentIds=1&BrandIds=2) includes a built-in phono amp that should be able to stream to the Yamaha at a distance up to around 10m. It’s a bit more expensive than the Rega but it will do the job. If you have any concerns – have a chat with your dealer. Try and ask for a home demo to see if the system works without any issues. If there are problems with some unforeseen elements relating to your house, the system, etc, then you should be able to return it and we can try something else. PS: One late thought, there’s also an option, with the Essential III Digital turntable to connect via the optical output to the AV receiver. Congratulations for Your articles and comments. All of them are awesome. As a new one on the stage I went back to vinyl finally after 30 years. Mainly due to Your review of Rega Planar 1 I purchased one /thanks God my wife was also happy as it is white and later brought back nice memories/. Than I bought new speakers: Quadral Argentum 590, and than came the amplifier: Vincent SV-500 with Vincent PHO 8, with HiDiamond HD Real and Pangea cables. Now I enjoy the music 4 hours every day. Why I write this long letter because I would like to upgrade my player. The budget is over for a new Planar 3 so I thought to improve the cartridge. I read Your review about Goldring E3 but thinking maybe Goldring 2100 could be also fine. Which one do U suggest? Besides I do not want to destroy the arm of my Rega with putting some spacer. As the player is Rega I know the size of the original carbon is the same as Elys 2M, but that do not have enough deep bass or wide spectrum if I am right. Hence, Rega is saying that spacers don’t really matter. Or that spacers are not as important in their arms as many users think they are. I’m 99% sure that the E3 does *not* hit the record so, if you follow Rega’s advice, buy an E3 and forget all about the spacers. If the spacer is important to you, check out this link: http://www.rega.co.uk/arm-height-adjustment-spacer.html. I must add that, in sonic terms, I haven’t compared the E3 with the 2100, I’m afraid. Both are excellent on their own, I know that. I would go for the best deal if you’re looking at choosing between the two. 1) Can I plug this into a pair of bookshelf speakers straight out the box, or do I need to separately purchase a pre-amp? The Audio Technica LP120 and Pro-Ject Carbon Fiber come ready to go. 2) Can you rec a pair of speakers in the $300-400US range? Ive been looking at AudioEngine A2+, A5+ and the Kanto Yu4. I prefer quality over size/volume. Thanks for your questions Michael. 1: You can only plug the Rega into speakers if those speakers are powered. These are speakers with an amp built in. You’d also need a phono amp to sit in between the two. I can help you with recommended products if you want to go in this direction. Pro-Ject and Audio Technica do sell turntables with the phono amp built in which saves cash (although the sound quality is reduced compared to an external model). Even with these turntables, though, you still need powered speakers or an external amplifier plus speakers. 2: Having read the above, how do you want to play the speaker recommendation? Powered speakers for your budget or amp and separate speakers? Im new to the LP world but I did a little research and I recently purchased the P1 and paired it with the Pluto phono preamp. Hi Jacob – 220 should be fine. Let me know if you have any problems. Paul – thank you for taking such time to review what sounds like a ‘best value’ turntable situation. I am in the US and the MSRP of $475 (presently, 338.96 GBP) is holding strong. Would you still recommend this knowing the ‘buying power’ of the two? I will be pairing them with Klipsch “The Sixes” (https://www.crutchfield.com/S-pSQKbjdghGX/p_714SIXES/Klipsch-The-Sixes-Walnut.html). I keep going back and forth between this, the Pro-Ject Carbon DC, stepping up to the Rega 2 and wincing in cost, and considering the U-Turn Orbit Special with Walnut Plinth. Is your advice to still go with the Rega Planar 1? This will be my first “serious” turn table. Regas are quite expensive in the US, I see, relative to their price in the UK. Because of that, I’d go for the Debut Carbon. Offering better value for money for a first time turntable. Thank you for your honest and sensible review and answers here. I found it to be one of the only few really helpful sources in the net. Maybe you could help me as well. TL/DR: does it make sense to go vinyl in sub-$1000 category at all? Recently i started looking for a vinyl record player to add to my system. After some investigation i’ve excluded Audio-Technica from my selection and narrowed it down to Pro-ject and Rega. I really really favor Rega, but unfortunately there are no Rega dealers with an auditioning room here, so i would have to order it blindly. I only have one shot, if you will. Couple of days ago i’ve bought a Massive Attack Protection LP and went to a Pro-ject dealer to listen to their player. It was a Debut Carbon with 2M Red cartridge connected to some Marantz amp and Dali Opticon speakers. The result was surpisingly underwhelming. There was a lot of hum (which i believe can be fixed), the highs were almost too bright and there wasn’t any special ‘liveliness’ which i read about and sought for so much. Also another player with an Ortofon 10M cart had so much sibilance in my headphones that i had to turn it off just after a minute of listening. Now i am acutely aware of the fact that personal impression is a very subjective feeling and it can depend on all the circumstances around you and even your mood at that particular moment. I still hope that i didn’t give it enough chance and in fact i’m still considering getting that Pro-ject. It wasn’t bad, it just seemed to sound worse than my home system. Also i’m under impression that a Rega Planar sounds objectively better. So my question to you is: is it even worth getting a beginner-level (sub $1000 from what i’ve heard) turntable if what i want most is improved sound quality over digital? I don’t care for CD-like cleanliness, but i need an engaging, live performance, if you know what i mean. If it’s not, i’d rather hold on for a while. If it matters, at home i listen to digital music through a battery-powered m2tech HiFace 2 digital interface connected to Arcam rDac (powered by a linear PSU) and a NAD C356 amp. I’m only using the power-amp part of the NAD, so its preamp plays no part at all. Speakers are HECO Music Style 500 as well as Beyerdynamic T1 headphones via a custom tube amp. Contrary to what a lot of people say, the headphones are not too bright with a proper setup. Couldn’t say that i’m quite happy with the amp and speakers, maybe i’m going to replace them later, but that’s another story. I don’t have a phono stage at the moment, so that would be an additional purchase. I really don’t want to go on that road with infinite upgrades and stuff, ideally i’d be buying a decent turntable and forgetting about it for a couple of years, just enjoying the music (of course i know it wouldn’t happen). I’m really looking forward to your view on the matter. I’d rather not tell you my exact budget, otherwise you’d just recommend the most expensive Planar that could fit (and you would be right, of course). I’m just trying to figure out if it’s worth it at the moment or should i just focus on new speakers first, for example. Thanks for your kind words, Sergey. Answering your general question, yes, it is worth it. Vinyl provides great value for money. You can obtain a quality sound for not too much. Re your earlier demo – the rest of that hi-fi system may have had a bearing on your conclusions here. The signature you heard may have been influenced by the amp and even the speakers (depending on which Opticons they were). The Debut is actually a quality turntable. A budget would be useful because, yes, I would recommend you maximise it to buy the best turntable that you can afford or are willing to pay for. That said, are you looking at purchasing only the turntable for now or would you really want to upgrade other components too? A budget would then be useful to try to advise you in terms of splitting the budget over other suitable purchases. What is your digital source, by the way? Why do you use the M2TECH? An external low cost phono amp would sound superior than a built-in model, as I’m sure you know. Rega has a good value model, the Fono. Am also buying the Rega Fono Mini A2D Phono Pre-Amplifier, and Q Acoustics 3020 Speakers as you recommended, is there anything else I would need? Also I’m not sure what cables I would need so if you could recommend that would a big help too, since I am a bit clueless! Would you recommend sticking with a new Riga 1 with the aforementioned set up or upgrade the turntable to the Riga 2? If you can afford to go for the Planar 2, Ben, then go for that one, yes. The Topaz is more audiophile than the Denon in sound quality terms, all of those unnecessary tone controls, etc doesn’t aid sound quality at all. The Denon sound can be quite hard in tone too, be aware of that. Apart from the phono amp and speakers, you’ll need speaker cables (from the amp to the speakers) plus a pair of interconnect cables from the phono amp to the amplifier. I’d advise to grab the best QED cables (you can buy them on Amazon too) that you can afford. The length really depends on your circumstances and requirements. What length do you require in practical terms? I have mine spanning 3m but that’s because that’s the length I need in my room. Cheers Paul, I’m setting it up close to a plug / extension lead so doubt it needs to be very long, was just confused that some xt25’s are listed as spades and some as bananas. was thinking these seem good value compared to the others which are around £50, but not sure if there’s a catch i’m missing! Hi Ben – Spades and Bananas are a preference choice in attaching the cables to the speakers.They’re the actual plug bits of the cables. Most speakers will handle both types. Bananas are the straight plugs, spades are the flat, fork-shaped things. My preference is bananas (illustrated on your link), I find them quicker to plug in. Hi Paul it’s Ben again, I’m just setting up the phono amp to the amplifier, using the QED Performance Graphite Audio Cable you recommended. Possibly a stupid question but do I need to buy 2 of these since there are 4 sockets at the back of the phono amp? Also does it matter which way round they are inserted, since they seem the same at either end. & should I set the level / earth dials a particular way? The instructions are pretty brief but also quite technical for me to follow so I’m just a bit worried I might do something wrong! Hi Ben – the turntable’s own cables [supplied] will go into one set and your QEDs will attach to the other two. In high end systems, cable direction can matter, don’t worry about that here. The turntable has an earth cable, that attaches to the earth connector on the phono amp. The Earth’s screw secures it. Ah that makes sense now, thanks! Thank you for the excellent review. I am wondering if the Planar 1 would be a good match for my current stereo. I have a NAD C740 and Totem Staff speakers. I also plan to purchase a Music Hall pa1.2 pre amp. Hi Neil – yes, it will work well in that system. Let me know how you get on. I’m very new to this world but i find it very interesting and I’m sold (this was an excellent review). I want to get the rega planar 1 but i have no idea what would be the best pre-amp, amp, and speakers to go with it. Keeping on mind that I’m on a student on a budget, what would you recommend? Hi T.K. – thanks for reading. Well that term ‘budget’ is the apt word here. How much do you have to spend? You’ll need a phono amp T.K. and an amp and speakers. For the budget, it might be best to combine the amp and speakers to powered speakers. A pair of Tibo Plus 3 (https://www.amazon.co.uk/TIBO-Plus-Active-Bluetooth-Speakers/dp/B00XVTVJJS/ref=sr_1_1?s=electronics&ie=UTF8&qid=1521379994&sr=1-1&keywords=Tibo+Plus+2) and Rega phono amp: https://www.amazon.co.uk/Rega-Fono-Mini-A2D-Pre-Amplifier-black/dp/B0072RZ95U should sort you out. Thanks for your reviews, which helped me to get the Planar 1 (together with my budget restrictions). I also have the Rega Brio (speakers: ELAC Debut F6) and I am wondering, if I should give a try to an external preamp. If so, which preamp category would you suggest? Sth like the Rega Fono Mini A2D or the Rega Fono MM Mk3 (or similar)? Yes – good idea if sound quality is the priority. What’s your budget? Thanks for the quick reply. The budget would be 250€ (the prices in Greece are a bit higher). I have a Densen B 110 amplifier and Epos M 15 speakers, and I´m looking for a turntable. I have two choices, either the Planar 1 or 2 as I can´t afford the 3. I would prefer the 1 as is cheaper, but do you think it should be fine with my amp and speakers?With the Planar 2 I guess I should look for a better phono stage, like a Fono MM , and If I buy the 1 I can save a bit, as I would need nothing better than a Fono Mini phono stage. What you think? Hi Nuno – thanks for your note. 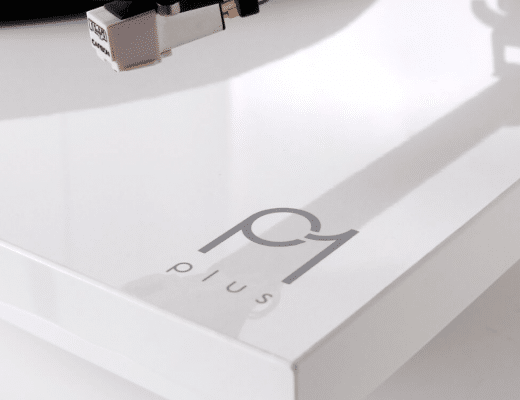 The best source possible is what you’re looking for but if it means buying a separate phono amp then free up the cash and get a Planar 1 plus that Fono. The amp and speakers should work with with them, yes. Sorry Nuno – what I mean is that, by buying the Planar 1, you will then hopefully have extra funds to enable you to purchase the Fono. Superb review, first of all. I’m rediscovering the vinyl myself and I have been an audiophile for quite some time now. I have a question that I hope you can help me with. I want to get a new (to me) turntable. 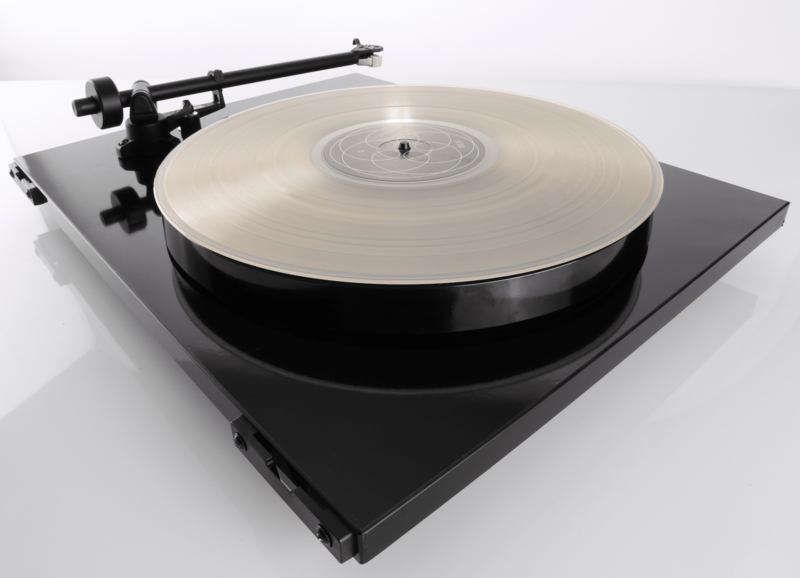 And I can get a new Planar 1 for 279€ or a used Planar 3 with the RB300 tonearm with a Nagaoka MP-11 for 350€. Of the two which one should I get? Go for the ‘3’, Andre – the 1 is superb but the 3 is ultimately better in sonic terms. Thanks a lot for the extremely helpful reviews. The planar 1 where I live is selling for 379 euros. Do you still think it’s the better choice? I’m hesitant between the planar and the LENCO L-3808, since the latter it’s selling for 166 euros in amazon. Hi Catrina – if you need the added toys that the Lenco offers, then look towards the Lenco sure. Is sound quality is the ultimate priority, then it’s worth spending on the Rega. Hi Catrina – if the Lenco toys (USB, built in phono) are important then look at the Lenco, sure. If sound quality is the most important aspect of your purchase, go for the Rega. Hi Paul! Thanks a lot got the answer, I went for the Rega 🙂 let’s see what future upgrades await us. Cheers! Hi Paul! Thanks a lot for your reply! I ended up going for the Rega, still haven’t decided on the phono/ amp. 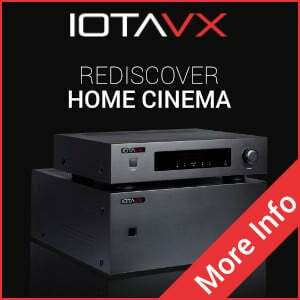 I’ve seen in the other comments that you advised the Onkyo A-9030 or the Cambridge Audio Topaz AM10, but do those have a phono? Or do I need to buy the Rega fono mini in addition? Hi Catrina – yes, a phono is included but, saying that, you’ll get better sound quality with a separate model. Depends on your budget, of course. Hi Paul. Great! Thanks for the advice. I think I’ll start with getting the Rega phono mini first and later upgrade to an amp. I have ESI near08 speakers, so hopefully the sound will be nice! Cheers! turntable + phono amp + headphone amp + headphone? Please correct me if i am wrong. 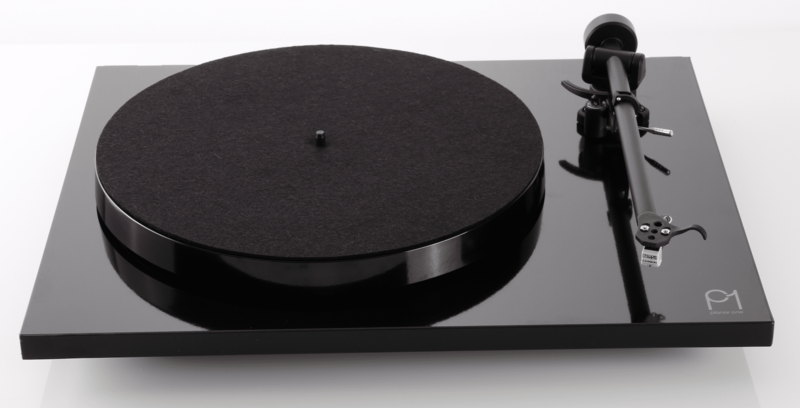 I’ve read and through some local searches and I have narrowed it down to two, based on articles i’ve read; Rega Planar 1 (new unit going for RM1,350 in local Malaysian currency) vs Pro-ject Debut Carbon DC (used at RM1,400). The Rega retails for RM50 more than the Pro-ject (new one goes for RM2,000) and I am wondering which would be a better turntable in terms of value as well as mod-ability, if such need arises. Are there any major differences between them (in terms of hardware such as components (catridges), ease of use)? I apologise for the lengthy post and thank you in advance. Hi Yongolini – yep, you’ve got the chain sequence correct there. Both are excellent turntables but, especially for the beginner and for ease of use, set up, etc, alongside top sound quality, I’d got for the Rega. Lovely to see you Michele. Personally, I don’t know what the fuss is about because I’ve never had this issue. I’ve used plenty of Regas off and on and have never ever had a problem. I’m not sure if other factors are involved here such as the electrical system itself, other components…goodness only knows. I would buy the Rega with confidence and go from there. You can’t live in fear of what might be – you’d never get anything done. So, I’d recommend taking the plunge. I’m always here to help if things go awry 🙂 Let me know how you get on. thamks for your answer Paul. So i’ll order today a rega planar1 and cross my fingers. After reading so many users having troubles with it was going to choice another model, but i have to say that this looks like the best at this price zone. I will post here my impressions , as soon as i ‘ll receive the TT, so other people with the same worries will have another point of view about it. In the while i’ll keep to read your excellent site. thanks again! Hi Michele – I’m not belittling the individuals who might have issues and I’m sure that they are very frustrating and the problems themselves are real indeed. That said, don’t forget, what you’re not seeing are the many more Rega uses who do not have problems. After all, they have no reason to post in Forums do they? 1) i see ,also, that rega’s wire its not so good as i could exspect. 2) its save to buy a good 1,5 -2 meter extension rca cord? any suggestion? 3) rega’s output signal isnt preamplified, so i think, should be less sensible to external interference. isnt it right? 4) would be too much ‘dangerous’ to open rega’s chassis and to weld a longer rca cable? sorry for my poor english and thank you for your patience in answering if you will like to. Hi Michele – The problem with having, say, replaceable phono cables to allow upgrades and improving cable quality, is that it would boost the price point to such an extent as to remove the price advantage of the original turntable. Re extensions…I assume that your turntable is quite a distance from your phono amp, in that case? Can the turntable not be placed nearer? The fact that there’s no phono amp within the Rega does mean that an external module is required which will improve sound quality. I would NOT recommend that you open up the Rega. Again, is it not possible to arrange a nearer location? That would be the safest and best option in terms of sound. Adding an extension cable will not help sonics. Firstly – thank you for an excellent site especially the reviews – very clear easy to read and understand ! I have gotten back into vinyl after many years – in my youth in the 70’s & 80’s I had a reasonable system with Wharfedales & JVC’s etc but as time progressed these became redundant and I followed the trend and purchased Home theatre systems and plugged in my extra ‘bits. Currently I am more than happy with my HT and get really pleasing sounds – I run a Kenwood CD player with great results and stream a lot through airplay Spotify etc. Now the dilemma – through your excellent article I have bought a PLANAR 1 – I totally go with your concept of having the best source available to begin with – excellent advice ! To run the PLANAR 1 through this switch box will probably degrade the signal so now deciding to either go completely separate and purchase a stand alone amp OR buy a new AV receiver such as a Yamaha etc. with direct connections. What would you suggest ! Thanks for your kind words Rob – I would recommend that you separate your HT and your hi-fi. Keep the HT for your AV requirements and invest in a separate chain, headed by the Rega plus a new amp and speakers for audiophile music use. As it stands, you would lose all of the sonic benefits of the Rega as soon as it entered that switch box. I would also bring your Kenwood into the hi-fi chain to improve its performance. Do you have a DVD/Blu-ray player? That can play your CDs through your AV system if you want to play music through that. 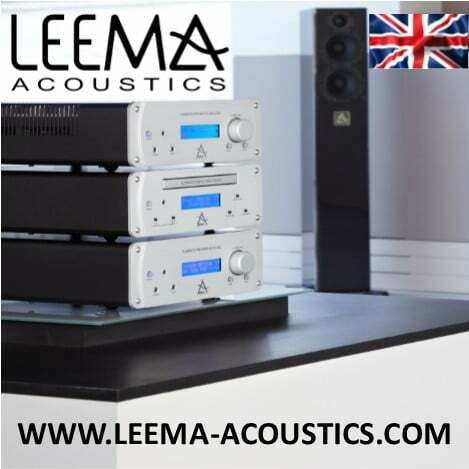 I realise that you might be looking at more financial investment here but, as it stands, you’re actually wasting money by only retrieving a small portion of your initial Rega outlay in sound quality. Must say I am most impressed by the REGA and has improved by listening experience tenfold – even through my switchbox ! I take on board what you have said about separating the systems so am now looking to do just that – sneaking it in past the wife will be the fun part ! One other question I have is about the REGA – the RCA connects are what I would describe as 99p connectors – not what I would have expected – would there be any benefit on changing these over ? likewise – the small power-pack that powers the REGA appears somewhat ‘cheap. 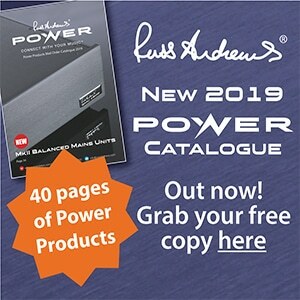 I am a fan of Russ Andrews and he takes a lot of time of persuading us to upgrade power connectors – again would this be of benefit on my ‘cheap system and then how would you go about it as there is just the small DC connector on the REGA ? Thanks for the note, Rob – I hear you re. your proposed sonic improvements and I agree with Russ but the Rega cables and power pack are not easily changed and, for the price of the unit, I’m not convinced that going to the trouble of wrenching it all out and sticking it all back together would be worth it. It’s a balance thing, you see. You’ve be better served just upgrading the deck itself, in effect. What you can do is make sure that the rest of the hifi chain’s cables and power blocks are up to scratch, that you have the right shelving, isolation feet or similar and that sort of thing. I would begin by addressing the mains area, if you haven’t already. I do believe quality interconnects improve the system so have already invested well in cables ! Likewise – thanks to RA – the support, feet etc. have all been upgraded to something suitable so probably couldn’t improve to gain any benefit from what I have already but always room to spend ! I take your point about the REGA so will enjoy what I have until I upgrade etc. Great article! Would this turntable sound good on McIntosh gear (MA5200 with internal Phono PreAmp, MEN220, MB50, ML1C speakers)? Any suggestion for a cartridge close to the Sumiko Blue Point No. 2? Thanks. Thanks Andre – that depends on how important vinyl is to you. If it’s a minor source of music then go for that and use the cheapest Audio Technica cart with an elliptical stylus. If vinyl is important to you considering the rest of your hardware, I’d say the Rega is hardly sufficient. I’d be looking at a turntable priced around £2,000-£3,000! If not more. Thanks again Paul for the information. I bought a few days later a Thorens TD 126 MKIII Electronic with a Luxman TA-1 tonearm (Micro Seiki) and a Piezo YM-320X cartridge. A turntable specialist will see it. A Sumiko Olympia MM Phono cartridge and a Cougar Tonearm Cable are possible moves. Sounds good Andre – glad it’s working for you. Hello! Great review! I intend to get this turntable as i want to upgrade from an old Onkyo turntable. I use an old 70s amp, Sansui 7070 (recently cleaned and serviced ) and a set of Tannoy Saturn S6 speakers. Would it be a better idea to gather some money and invest on a new amp and maybe another set of speakers or i can have a nice result with that setup? Thank you in advance! Hi Dimitris – next on the upgrade list would be the amp, yes. For now, though, I would live with the system using the new turntable. Get to know it, play lots of records, listen carefully, notice differences good and bad. Make a mental note of those and decide if you like the system ‘as is’ or if you are still not happy. If the latter, then look towards the amp upgrade next. Then comes back to me with a budget and I can help at that time. Hi Paul, i have enjoyed reading this review. I have a few questions :), i’m new in the world of vinyl. I’m planning to buy a turntable. 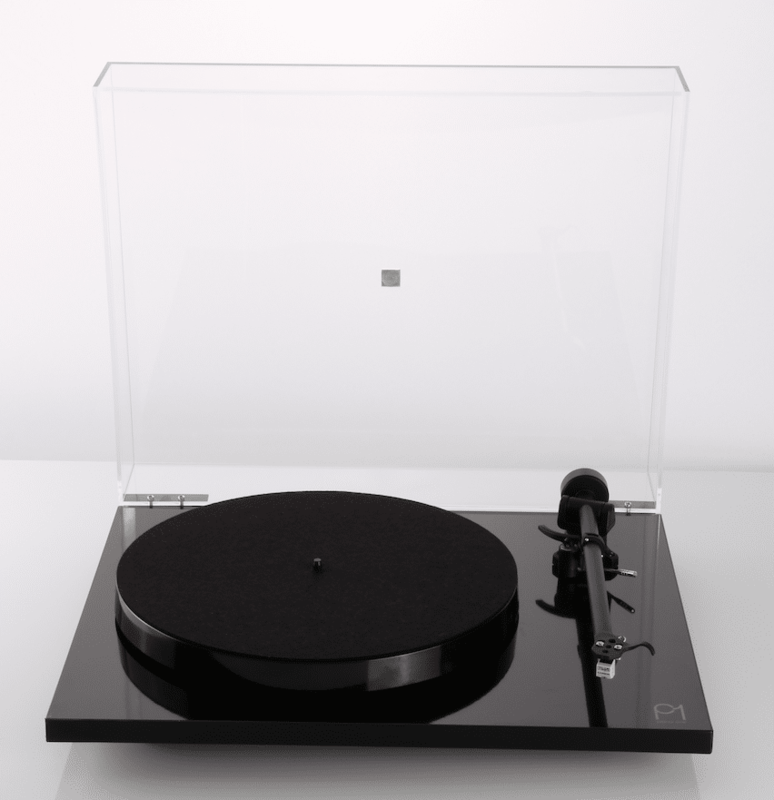 This Rega Planar 1 grabbed my attention. My current set up is a Hegel H80 and Elac FS uni-fi fs5 speakers. Because the Hegel has no phono input i need a phono preamp. I have seen the Pro-ject Tube box s (for me it looks nice and i have heard that’s good quality/price combo) or should i go beter with a phono preamp of Rega? 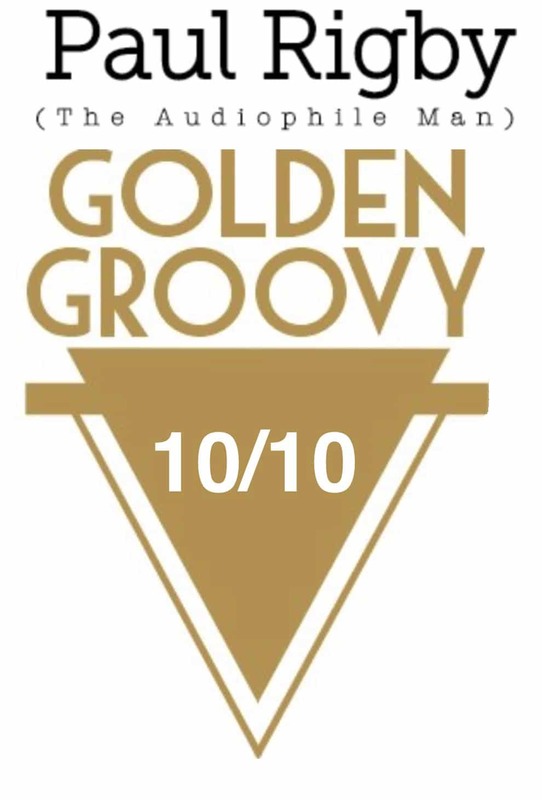 Keep up the good reviews! I was thinking around €600-700 (i’m from Belgium). For me are the looks also important, i know i may not focus on that, but i like ‘minimal or clean’ looks. I dont know of this is important but my main music genre is eletronic music (not the cheap one). I hope i gave you more insight in my “toughts” :). With your system, a Planar 1 is not good enough. You need to think about a Rega Planar 3 for around €600 and then begin with a Rega Fono phono amp for around €100 or so (sorry, I don’t have exact prices to hand at the moment). Thank you for the quick reply´s Paul. I fully understand that a Rega Planar 1 isnt good enough for my system. I even want to stretch my budget with €200-300. But i have second concern now, i´m a little bit affraid of the manual speed change. Isnt it better for a beginner in the vinyl world like me that i have an eletronic speed change? I have seen that Thornes offers that option. Or are the TT of Thorens not at same quality of Rega? Hi Thomas – please don’t be afraid of the manual speed change. It’s very easy to adjust. Once you’ve done it yourself once or twice, you won’t even worry about it any more. At this price point, a manual change is preferable, sonically. Integrated speed changers, in this price point, often add veiling noise to the sound, decreasing detail. 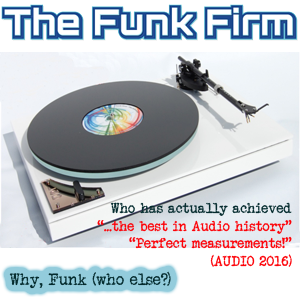 I´ve seen the review of The Funk Firm Gett, it seems also a very nice turntable. i´m now looking to the prices and do the math. I´m not sure if the The Funk Firm is selling in Belgium. So in your opinion is this a suitable ´vinyl system´ for my current HiFi system? 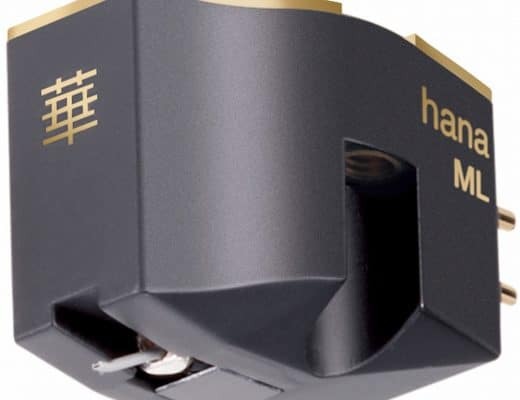 Indeed – after this, if you look to upgrade later on, you need to look at upgrading to Moving Coil carts, so focus on the cartridge and phono amp next. You’re welcome to talk to me when that time comes – if it ever does. Hi Paul, great article and comments here! Numark TT1510 (no comments..), Behringer PP400, Yamaha MG10, 2x Genelec 8030A. 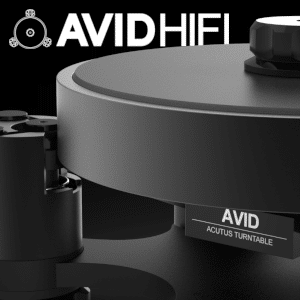 What would you recommend in terms of turntable? Is the Rega P1 still a good choice? Budget: 300-500€ for a turntable + pre-amp but I could stretch a bit if necessary. It looks like you have a DJ-centric set up there and, for that direction, your set-up is fine and by all means keep the system for this activity. If you want to move away from this sound type and go for something more audiophile then I would slowly upgrade the lot but begin at the most important part, the source and the turntable, then work through the chain to the phono amp, then the amp, dump the mixer and then the speakers. I’d make a firm start with the Rega then, when you have more cash, come back here and we’ll talk again. Great review, a very informative read. Like many who have arrived here I’m looking at getting my first turntable and find myself swayed towards the Rega Planar 1. Would this still be your top recommendation for a budget turntable? A store assistant recommended the Pro-Ject – Debut Carbon, Rotel – A10 – Integrated Amplifier and Q Acoustics – 3010i as a budget set up. 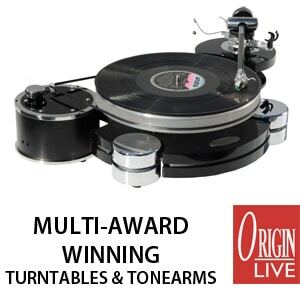 I’m not looking to spend ridiculous amounts of money, preferably no more than $1500AUD including the turntable. Would you be able to recommend an ideal set up that’s accessible in Australia? 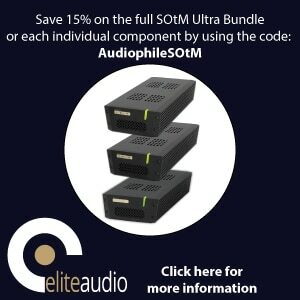 How much of a significant difference in sound quality does the external phono add? I’ve not had the chance to listen to the difference before… but reading through the comments I feel as though I might be missing out if I don’t purchase one! Hi Laureese – quite a bit. The built-in version you might see sitting inside an amplifier is fine but it’s bombarded by adjacent electronic-based noise from other gizmos installed alongside. Separating the phono bit removes that noise but also the component quality of an external phono model is improved. I have an old system comprised of a NAD5120 turntable and a NAD3020A amp with Mission bookshelf speakers. It’s given me sterling service since the 70’s but I’m thinking of purchasing the Planar 1 and given that the amp was considered to be at the top of the heap for budget amps back then, do you think it will get the best out of the Rega. If not can you recommend an upgrade option at around £200. The Rega would be a good upgrade start. The Cambridge Topaz AM10 amp would be a decent companion. I only recently discovered your website and probably spent a good couple hours binge-reading many of your articles. Well done, your reviews are very accurate, honest, and informative…attributes it’s tough to find these days where so many reviews are driven by the marketing machine. I’m in my late 40’s and having been a vinyl junkie for over 20 years. Although I don’t consider myself an “audiophile” (many of my friends that don’t listen to much music other than in the car may disagree), I have enjoyed swapping out a range of mostly modest price gear over the years as I stumble upon the odd gem on Kijiji or garage sales. My current setup for at least the last 5 years now has been a Sanyo Q50 turntable (definition of a sleeper find) paired with a Marantz 1060 and paradigm 9se mkii speakers; the phone stage on this amp is very good to my ears and I have yet to find something that sounds better without breaking the bank. I’ve cycled through many different turntables over the last couple decades, the majority of them from the 70’s/80’s including some nice rigs from Pioneer, Dual, Technics, and Thorens. I’ve always been intrigued though by the thought of purchasing a new turntable and Regas have been on my shortlist because 1) they are reasonably priced (did I mention how cheap I was?) and 2) a friend of mine purchased one of their original P1 units many years ago and I thought it looked and sounded fantastic. Well I’ve hit a point where I’m ready to replace my turntable again, I could make up reason for this, but really it’s just a personal thing. I compare it to getting bored of your car after 5 years of driving the same thing, it’s still good, but oh how fun it would be to drive something different. So I’ve got a choice to make (again), new or old. I knew the P1 was great, but your article really drove home the point of just how great it is, especially for someone like me that refuses to spend buckets of money on their gear. The problem is, I know someone that is selling a Kenwood KD-500 (with Mayware 4 tonearm) that is mint. Not sure if you are familiar with this model, but it’s a beast, and is consistently rated as one of the top vintage direct drive units of its day. The easy thing to do would obviously be to wait until he sells the Kenwood to someone else and then I’ll just get the P1, but I’m torn. Unfortunately I can’t do a proper A/B comparison and price-wise they are close. Thanks for your kind words, Barry and welcome to the site. I haven’t heard the Kenwood in action but would like to bet that the Rega moves the sonics onwards from the late 70s. So, my pure guess is, in pure sonic terms, I would go for the Rega. 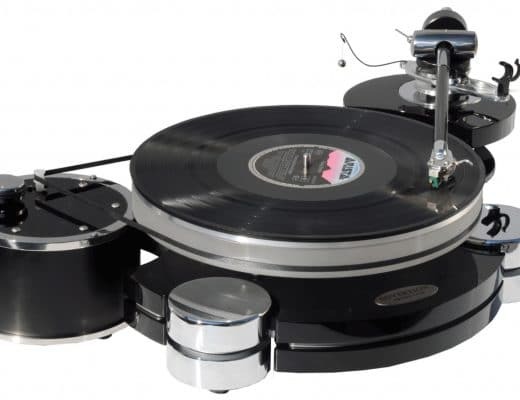 The Rega also brings peace of mind in terms of buyer’s guarantees, parts replacement, etc. That said…I won’t, in the end, recommend the Rega here. Not with you – with anyone else but not you. Why? Because you’re in love 🙂 And I hate to break up a romance. So, I would say, because of your past form with vintage gear, get this rare mint deck and have a ball. If you fall out of love later on, then buy a Rega. They’ll be waiting, if you change you mind. The Kenwood might not be. First off, thank-you very much for the quick reply on this, I wasn’t expecting such an inspired response. Second, I wanted to give a quick update on how this all turned out; things kind of went sideways but in the end turned out for the best. Your thoughts pretty much got me off the fence on my decision, and truthfully I think I was leaning in that direction anyway although I wouldn’t admit it. So I went to see the fabled Kenwood beast and the short of it is, it wasn’t nearly as “mint” as it was so described to me. Aesthetically it was a bit more banged up that I thought it would be, which wasn’t huge, but the tonearm, oh my, there was definitely something wonky with that. Even the seller, whom I know, admitted that it might need a bit of work. Now I can balance a tonearm and align a cartridge in my sleep, but beyond that, my techie skills are lacking, and this appeared to require something more. So sadly I had to pass, but hey, there was still the P1 waiting for me, right? Well here’s the nifty part, armed with my credit card, I click on the local audio shop’s bookmark I had for the Rega a few weeks ago and low and behold, all the Rega gear is on sale! So I was basically able to grab a P2 for the same price as I was going to pay for the P1, how about that? Sometimes in the crazy world of chasing down audio gear, the stars can align. All that to say I’m very happy with the P2. Sounds incredible and the white version with the acrylic platter looks like something Steve Jobs would have designed if Apple made turntables (that’s a compliment). Thanks again sir! Brilliant! Blimey, we audiophiles do go on a journey sometimes don’t we, eh? Looks like a perfect end to the story. Glad you’re happy with the Rega, Barry and thanks for getting back to me. I write from Poland using a Google translator, so I apologize for the mistakes. A great test, but I have a question whether you compared Rega Planar 1 to Pro-Ject Essential III with Ortophon OM 10 ?. I want to replace Pioneer PL-445 with AT-95e and today it’s two models that I want but I do not know which one. The rest is Arcam Alpha 6+ and Heybrook HB4. In Poland, the price is the same but I have nowhere to compare. Can you help? No problem on the translation, Wojtek – thanks for your question. I’d go for the Rega. Simple as that. Rega is a bit on the quirky side re. anti-skating, that’s true Don. But it has always worked fine for me, no matter what the cartridge. Hey Paul, just stumbled across this. Any relation, I’m wondering? Was looking to contact you privately. Maybe my email will show up. I am looking to buy my first vinyl player and you have sold me on this one! Would you please advise what else I need to buy for it and recommend some brands? (Hope you don’t mind this sort of amateur question haha) my budget for amp & speakers is around £300, I know it’s not much but I would really appreciate your advice! I am looking to play a lot of Talking Heads, Led Zeppelin, Television etc on it if that helps. Thank you so much for your lovely reply, and for answering so quickly! You are incredibly helpful, I will look into all of this. Not a problem, Dina. Good luck with your purchases. Dear Paul, Great review. Not sure if my first reply came trough so I try again. I’m building a vinyl system and already have the Teufel 40 MK2 speakers. With a budget of €1.000 to €1.200 (for the turntable, phono amp and amp) I’m wondering if I should go for the P1 or P2 (or perhaps another turntable). What would you advice? And wich phono amp and amp? I listen to R&B, Hip Hop, Techno/Dance and Latin. If in the future an upgrade is needed (or makes sense) for the Teufels what speaker would you recommend based on my music genre? Thanks for you kind words. For the speakers – I’d wait until you get nearer the time and are clear about a budget figure, then give me a shout. As for the turntable? Get the best you can – that’s where the detail is extracted. If there’s a failure at this point, even the best amp and speakers won’t be able to magic detail from thin air. Hence, I’d go for a Rega Planar 3 at £550, a Rega Brio amp for £600 and a Rega Fono phono amp for £90 and pick up the best quality QED cables from Amazon that you can afford. Thanks for answering so fast Paul! I will see if I can find a P3 in the price range of £550 because in The Netherlands a P3 costs £715 (€799). And perhaps an Amp thats a bit lower in price in order to fit my total budget. Anyways thanks again. 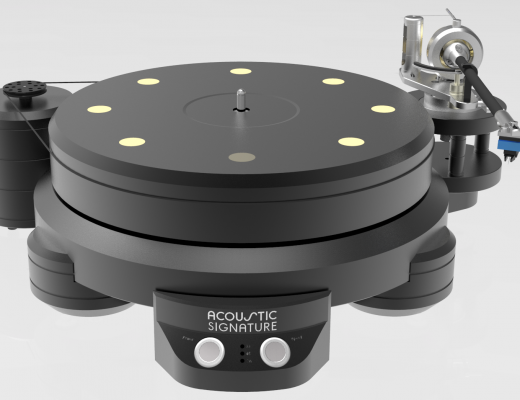 A Project RPM 3 turntable might be a better option for you, in that case Quilly. Look at Cambridge for a lower priced amplifier too. Their integrated amps are nice. I will check the RPM3. Is the RPM3 (€699 / £623) on the same level as the Planar 3 or should I compare it with a Planar 2 (in NL available for €509 / £453). In case I will go for the RPM3 does this means that it’s a better match with the Pro-ject pre amp in stead of the Rega pre amp? The RPM 3 is on the same level as the Planar 3, Quilly. There’s no issues in terms of matching. You’re fine. Thanks for the review and it actually led me to purchase a Rega Planar 1 a couple months ago. My current set-up is a Rega Planar 1, connected a sound bar Yamaha YAS-207 with a Rega Mini Fonos A2D. I’ve also changed my cartridge to an Ortofon 2M Red. I think my sound bar is probably inadequate but I made the RP1 purchase with the intention to upgrade my stereo in baby-steps. I have really enjoyed my experience so far and I am now looking to purchase an amp and speakers to take it to the next level. I’m also hoping to connect this stereo set-up to my TV in my living room around 590sqft (or 55sqm). Would you have any recommendations in the range of around $1,000 to $1,200? Happy to stretch the budget even further if necessary. I’m unsure if I should pay more for a floorstander (like the Q Acoustic 3050i or Dali Oberon 5) or stick to a bookshelf speaker like Q Acoustic 3020. Hi Sean – many thanks for your question. Lots of ‘ifs’ and ‘buts’ here. Before we go any further, what’s your priority here? Is it sound quality or convenience? Do you want a quality vinyl source or are you looking more at a multi-option lifestyle system with the TV as the priority and the vinyl as nice addition which will be used only occasionally? Is vinyl secondary to the TV? Hi Paul – thanks for your quick reply! Sound quality is my priority so I can also keep the sound bar connected to the TV and just use the stereo specifically for the vinyl. I didn’t think it was a mutually exclusive option if I didn’t want to forsake quality! Before I answer this one, please bear in mind a truism of hi-fi: focus on the source. This is where the detail is extracted and this is where the information is found. A great amp and speakers won’t give you that, they just enhance the detail extracted by that source. Hence, you need to spend more money on the source than the rest of the hi-fi chain, then you can catch up later, upgrading the other items. But retain a balance. If you see that prospective amp/speakers upgrade costing more than the source, throttle back and reconsider the source itself. So, don’t put the cart before the horse. I guess you’re in the USA? Because of that, I also assume that the Rega was relatively pricey? I see Rega differently because of that. I see the Planar 1 as a £248 deck over here in the UK. Nothing more. That’s it’s worth to me in pure sonic terms. That’s my stance before I answer your question. Because of that I will not recommend a $600+ amp and speakers to you. I will ask you to look at your system with fresh eyes. I agree that the sound bar is the weak point. What I would recommend is this as things stand: buy a £200-£300 integrated amp and £200 speakers with good quality cables. Keep the cart and phono amp. That will give you a balance with your current Rega. If you feel more ambitious, you need to look at a new turntable with an initial cash split around 50% turntable, 25% amp, 20% speakers & 5% cable. These are approx figures. Then you can upgrade the amp/speakers/cable later. I hesitate to do this to you, though, because you’ve only just bought the Planar 1. Also, if you do live in the USA, then Rega might not offer the best value. But I won’t go further yet, until you ask. Tell me your thoughts on the above. I’m based in Singapore so the Planar 1 cost around £300. I agree that a £200-£300 integrated amp and £200 speakers with good quality cables is probably a better option at this point. What do you think are decent options at this price point? Perhaps in a few years time, I can think about upgrading the source but I think I will appreciate the process more if I go slowly up the chain (it does sound like a slippery slope!). If/when you want to upgrade from there, give me a shout. Thank you so much Paul! I’ll definitely reach out when I am looking for the next upgrade. Apologies Paul. One more question about cables: Am I right to say that I now need three cables with the new set-up – a pair of speaker cables and an interconnect cable from the pre-amp to the main amp. I can see from the previous comments that QED cables are generally good – I thinking of going for a pair of QED XT-25 for the speaker cables but I am lost on how to determine the quality of interconnects. Hi Sean – your turntable will have cables to connect to the phono amp. You’ll need QED interconnects to run from the phono to the amp. Then speaker cables from the amp to the speakers. Buy the best you can afford. The XT-25 cables are ideal yes. Many thanks for the above … all a very interesting read. 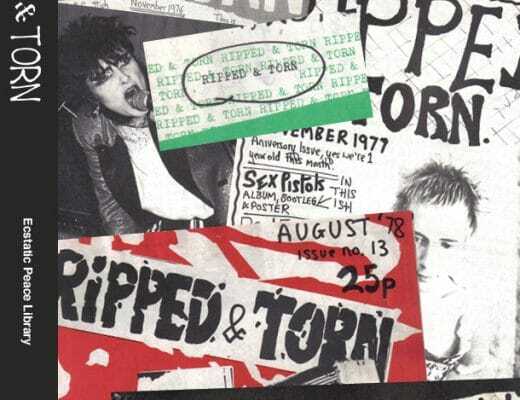 Please let me explain that I find myself now, as a slightly older man, wanting to get my record collection back out of the loft and into use … what state it is in is another matter, but the desire is there to get playing some vinyl again. This is all a bit compromised by many years of family life and my old (and, to be fair pretty budget) HiFi separates being reprioritised to the back of the cupboard to the extent that I’ve lost the turntable, and the Sony amp (TA AX220) is pretty ceased up (certainly the left/right slider is very dodgy) … and I’m basically left with a pair of Mission 760i speakers. I’m a little sentimental about it … that system was my pride and joy at one point … but maybe its demise is a good thing … a cleanish slate?? OK … I now have some permission to look and spend a bit again … so I am … and, along with accepting a partially cloaked clause in here that all needs to blend with the decor and not be too obtrusive particularly in terms of wires, I would like to have the option of a multi-room set up too … without compromising too much on the sound quality. We do also have a Sonos One in our kitchen … which is maybe swaying my thought patterns a little. Maybe a couple of Sonos ancillary speakers … if I can get Sky to talk to the Sonos, well, great … but that really is not the point of this). Does this make any sense … should I be retaining or replacing the Missions? … am I missing a trick or going down the wrong track with the Sonos stuff? I must say that I’m itching to get going … but that Sonos Amp is kinda a bit key … I guess I could link the old Sony TA-AX220 up for now? Anyway … your thoughts would be appreciated. Hi Ken – yes, all of your suggestions sound feasible and fine to me. Couple of questions, though, before I let you go. What’s the priority with this suite of purchases? Is it convenience, the ability to hook the lot up to your TV, streaming, etc? All of that multi-media, internet networking kinda stuff? Many thanks for answering so promptly … and that’s a very good question. Certainly my initial thoughts were to get a solid system with a good quality sound in one room … but then came the compromises and the realisation that as this is our main living room, it would have contention from other use … and a thought that it would be good to be able to listen elsewhere when necessary; which can also be used to stream music for parties etc. I should also probably add that I have a fair few older children that like the idea of music on demand in different places too! So … to me, the priority is to still get a solid system up and running … but beyond that the internet connectivity and networking is also an important bargaining chip? Many thanks for replying so quickly. Sonos is a great system if networked music is required throughout the house and it will certainly provide all of the modern conveniences and services for you. The Rega Plus will slot in well and provide you with a good front end for your vinyl and I’m sure that your aged speakers will cope. 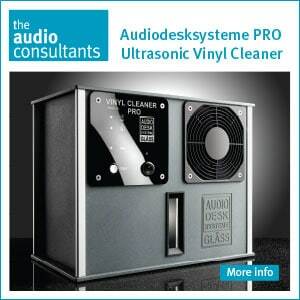 What you will lose is the best possible sound quality from your vinyl. I would change each and every component in your list if vinyl, 2-channel play was the *sole* priority. As it is, the sound will still be pretty good – so don’t worry about that. For what you need, you’ve got yourself a nice set-up. If, in the future, things change and you find that you’d like a nice little analogue system [and a selfish ‘me only’ vinyl system at that 🙂 ], then come back to me and we’ll chat about that. With that in mind, and not being that averse to a separate phono stage … perhaps buying the above (or maybe a P2) and a separate phone stage would be a better way to go and allow for some upgradeability? Hi Ken – Hmmm. One suggestion, if you’re up for it and you’re budget can handle it in the future, would be to stick with the Plus for the lifestyle system (the Plus works well in this mode) you’re looking to implement and create now. Again, budget depending, I would keep the Plus as a family lifestyle source, one for everyone to use. Later, when you create (ta-daa!) the ‘Ken System™’ later on, you can grab a separate turntable and phono amp, tell everyone to keep their hands off it and keep that as a separate thing for you. Then there’ll be no arguments over who plays vinyl on what. Thanks for your great reviews. I recently purchased a Planar 1 and Q Acoustic 3020s. 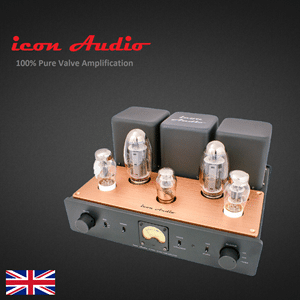 I’m now looking at an integrated amplifier to finish my first proper system. I’ve found the Cambridge Audio Topaz AM10 and Onkyo A-9030 within my budget here in Australia. Which amplifier would suit my turntable and speakers the best? Not a problem 🙂 As for the amp? I’d look at the Cambridge because it’s a dedicated 2-channel amp, Dale. The Onkyo has a nice amp stage but it produces more veiling noise because of the host of extra, included features. So my wonderful wife does listen to me after all. After spending the last few months waxing lyrical on how great the Rega is and how wonderful it would be to listen to vinyl again she went and bought me a Planar 1 for Xmas. Just set it up and… oh boy, she’s gone and done it now! I’ve got around 400 LPs that I haven’t listened to in 20 years and they’re calling me. Only thing is, while I love the Rega, I’m not convinced the rest of my setup is up to snuff so if you have a few moments I’d love your input. I live in the US and have a Yamaha RX-V2400 Receiver and a set of Mirage 5.1 speakers. It is an A\V setup and still works great despite the age but I’m not convinced I’m going to get the best out of the Rega with them. I think the speakers are the real weak link here so do I keep my current A/V setup and move the Rega to a whole new configuration that uses the Fono Mini A2D, Cambridge Audio Topaz AM10 and Q Acoustics 3020 (as per your response above from exactly 1 year ago!) 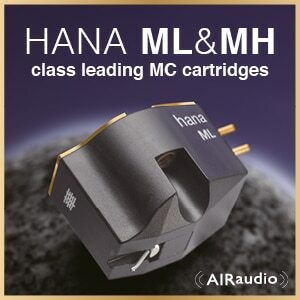 or would it make sense to add a pre-amp like the Phono Mini A2D to the Yamaha (the Yamaha doesn’t have a ‘line in’ though it does have a ‘tape’ input) and play with the Yamaha’s configuration to get an acceptable 2:1 output? Finally, I do lean towards a ‘warmer’ sound so if I did go the whole new setup route, would moving to a valve based pre-amp like the Pro-Ject Tube Box DS be a better bet? Budget would be around $600/700 give or take but let’s keep that between us, the wife really doesn’t need to know! Thanks Paul, I really appreciate the advice!. One last quick question re. speakers: 3020 or 3020i? I’m seeing glowing reviews for the ‘i’ version. However, because of that, I’m seeing a lot of discounted 3020’s. Is the ‘i’ that much better and worth holding out for or should I jump on a bargain set of 3020s? Depends on your priorities, Mark. If cash is important, go for the 3020. If sound is the main thing, go for the 3020i. My sons have bought me the Planar 1 for Christmas knowing that I have a stack of vinyl that has not been played for around 20 years. They have obviously assumed that I could just hook it up to the speakers that I use in my home office (Harman Kardon Soundsticks II) to play music from my laptop, so I need a bit of assistance in making that happen. I may upgrade the speakers at a later date but ideally want to keep the Soundsticks at the moment. The HK speakers have a built-in amplifier and I realise that I need a phono pre-amp between the turntable and speakers. The problem is that there are no input sockets on the HK – as they were originally designed for multimedia use they have a hard-wired cable with a 3.5mm jack that connects to the output of a laptop or mp3 player, so I am wondering what the best way is to connect this to the pre-amp. 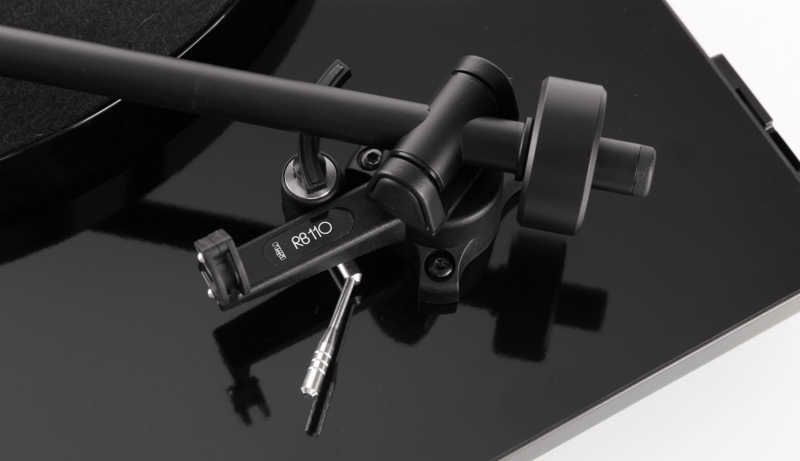 If I was to purchase the Rega Fono Mini A2D, for example, would it be as simple as getting an RCA to female 3.5mm adaptor work, with the RCAs connected to the outputs of the pre-amp and the cable from the speakers into the female socket on the adaptor? Alternatively, for a cheaper solution, could the jack from the speakers plug into a headphone output socket on a headphone preamp such as the Behringer HA400? Or, so that I don’t have to keep switching the speaker cable between laptop and turntable, could I use a USB cable out of the Rega Fono connected to the laptop which would then output to the speakers as normal? Thanks for your kind comments, Stuart. Sure, you’ll need to buy a Fono mini A2D to provide sufficient volume to your laptop. Connect the turntable’s cables to the Fono’s inputs then buy a RCA-to-3.5mm cable, connect the RCA plugs into the Fono’s output sockets and the 3.5mm plug into the laptop. Alternatively, connect a USB cable between the Fono and the laptop. Be assured though that the sound quality from this set-up will not be the best. Also, the more kit you insert into the chain, the worse the Rega will sound. Try and keep this chain as simple and as direct as possible. An upgrade to a decent amplifier and speakers will be needed to get the best from the Rega. When you get to this upgrade stage, if you need help, give me a shout. I just came across your site and want to add my complements. I have a quick question about component matching. I want to add a turntable to my current set up which includes a Cambridge Audio CXA80, a Cambridge CXN, a pair of KEF LS50’s (wired, not wireless. ), and an old KEF subwoofer. Is the Rega Planar 1 a good match? I could spend a little more if there was an appreciable bang for the buck. Also, any thoughts on phono preamps? Thanks. Thank you AT 🙂 And thanks for the question. There’s some decent hi-fi kit here which calls for an appropriate turntable. I’d be looking for a deck valued around the £600 mark or even higher. Can your budget stretch? An external phono amp would provide the best sound quality. A Rega Fono at around £90 would be ideal. Let me know about the budget figure. My budget could go up to $900-1000US, inclusive of both the table and phono amp. thanks…. Many thanks for your article on the Planar 1 and your reviews. Actually, it helped me decide to get one and I’m very happy with it (big improvement over my Pro-Ject Elemental). Although my aim is to get a Planar 3 in a couple of years, I’ve decided to upgrade the Planar 1 with the Rega Performance pack which includes the Bias 2 cartridge. Hope it will bring an improvement although I don’t know how big. The rest of my set-up is a Cambridge Audio 640 A Azur V.2 amp and a pair of Spica TC 60 (difficult to find now as the company went out of business some years ago). Any advice on improvements/upgrades on that front? Thanks for your comments Ignacio – just to confirm then, you’re looking to upgrade your amp *and* speakers? Or just speakers? Many thanks Paul. Actually, I was thinking of the Cambridge amp. I find the Spicas to be quite good (in fact, they gained a reputation for great sound staging and imaging). And I’m also considering upgrading my Cambridge Audio Azur 640 C CD player. Both the amp and the CD player are now about 13 years old. Hi Ignacio – yep, I’d give you the thumbs up for the Cambridge pairing. Nice products. Many thanks Paul. Do you think it’s worthwhile replacing the Cambridge Audios? Although they are more than 10 years old they still perform pretty well I think. And I’m not sure I would get much better products in that price range (around 500/600 euros each). One local shop has recommended I go for the Rega Apollo CD player and couple it with the Rega Brio amp. What do you think? Yes, both of the Regas would be good buys for you, Ignacio. I just boutgh this turntable and, as you suggested, Rega Fono Mini A2D. Thank you. I am a little concerned abou plastic hinges. Should I take off the cover every time I play music? My guess is they will broke if I open and close the cover a few dozen times. Hi Calin – thanks for your question. I always recommend removing a lid completely and removing the hinges permanently from any turntable. They are great at generating harmful vibration. Instead, when you finish your play, carefully place the detached lid back on the chassis and then remove again and store temporarily before play once more. 1) How often should I replace the Rega belt (I have the upgraded white one) and the cartridge? I’m guessing I’ve listened to around 600-700 hours worth of music on it. I keep my records clean, brush them each time before playing, and remove dust from the stylus with one of those sticky pad things. I haven’t heard any reduction in sound quality, but as I’m sure it’s gradual, I may just not be noticing it. Is there a good rule of thumb to follow? 2) If I were to replace the cartridge, do you have any recommendations for this tone arm? Reading about the anti-skate measures put in place for this Rega Carbon gives me pause about just picking up any cartridge and I’m wondering if I should just stick to the original if I’ve been satisfied. I’m mostly listening classic rock (Fleetwood, Dylan, etc. ), mid-century jazz (Blue Note, Brubeck, etc.) and some classical (Beethoven, Gershwin, etc.) So anything that helps with staging and clarity and bringing out the darker, more sonorous parts of the music would appeal to me. Thank you again! Last question: what’s the best way to support your efforts on this page. I’ve spent a few hours now perusing and want to make sure you’re supported in this awesome endeavor. Hi Phillip – thanks for your kind words. For the belt replacement? Rega suggests every five years. For the cartridge? The featured Carbon includes a spherical stylus tip – you could upgrade it to a cartridge with an elliptical stylus tip to increase sonic detail. One example of that is this Audio-Technica example: https://www.amazon.co.uk/Audio-Technica-At95e-Phonograph-Cartridge/dp/B004NRVUMI. Thank you very much for the offer of support. I did consider the Patreon route but thought that mode a bit cold. I wanted to provide a specialised service for those who kindly support me so I’m planning a new area – although it might be a while away yet. Before I get there, I’d like to launch a separate YouTube channel – a bit of a ‘talking head’-type advice/issues/help thing, keeping the reviews and the like for the site here. After that, I hope to open a service for a sort of subscriber-type approach. More info on that soon! Many thanks for the advice Paul. As I’m thinking of getting a Planar 3 in about 4 months, do you really think it necessary to replace my Cambridge Audio 640 C Azur to take full advantage of the new turntable? I have been recommended the Rega Brio but I don’t know to what extent replacing the amp is really indispensable. Hi Ignacio – it all depends on your budget, really. If you can afford the Brio then I’d advise getting it because you’ll experience enhanced sound. The Azur is a good amp, though, if funds are tight. I’m in the market for a new turntable, replacing a Numark el cheapo. Currently using a Onkyo tx nr626 and klipsh reference surround system. I’m undecided on the p1 vs p2 debate. In your opinion, do you suspect on my system that the price difference is worth the quality increase? Get the best you can afford, Jason – it does make a difference. The Onkyo has a decent amp section so you should hear a benefit. That said, whatever you buy, please also consider an external phono amp to get the most from your turntable. It’ll be a big upgrade on the low cost internal model offered by the Onkyo. Thank you. I appreciate the input. I decided to go with the P1 and a pre-amp to stay in my budget. I’m not familiar with phono amps and what makes one better than another. Can you recommend one in the 120-150 range? Hi Jason – sure, Rega’s own Fono for around £90 is a good buy. Many thanks for the reply, Paul. Very useful. Actually, it seems that the amplifier some dealers recommend with the Planar 3 is not the Brio but the Elex R which retails at about 1300 euros, a bit too much for my budget I’m af’raid. Also, i suppose the big change will not be brought so much by the change in the amp but by moving from the Planar 1 to the Planar 3. Hi Ignacio – No problem. I’d have to disagree with those dealers you mentioned. I reckon the Elex will unbalance a Rega 3-fronted system. The Brio is preferred. Stumbled across your website whilst researching a new turntable, what a find! Hats off to you for creating such a well informed website. I currently have a Dansette Bermuda MK2 which I love for all sorts of reasons. But, I’m now thinking of getting separates. Having read this review and all the subsequent questions, the system I have in mind is the Rega 1, Rega Fono Mini A2D, Cambridge Audio Topaz AM10 and some Q Acoustics Concept 20’s. A quick search on the internet brings this in at around the £800 mark. In your opinion, would increasing my budget to say around £1000 offer me a much better listening experience? And if so, which component would you upgrade? Probably worth mentioning that aesthetically speaking, the AM10 is the least attractive part of this package to me. Very kind of you to say so, Lee and welcome to the site. Nothing wrong with a Dansette but separates will certainly help your sonics. If you added cash to your budget then I’d upgrade the turntable, stretch that to £300 and buy either a Rega Planar 3 or a Pro-Ject RPM 3. Thanks for that Paul. Very helpful. I think I’m going to go for the Planar 3. I’m struggling to get to like the look of the AM10. What are your thought’s on pairing the P3 with a Yamaha R-N602 receiver (with or without pre-amp)? I quite like the option of having A and B speakers on the Yahama as it means I can feed some garden speakers as well. I also prefer the look of the Yahama but ultimately it’s sound quality I’m after. Hi Lee – I sense a certain amount of conflict in your requirements here. Let’s go though a few points. If you want the convenience of a multiroom system where you can feed sound into your garden or elsewhere, I’d recommend a specialist system like a Sonos or similar. That way, you save money on extras like cables, there’s no cable mess to trip over, you can move the Sonos here and there without any siting issues, etc, etc. For outside use, the Sonos is good enough too in terms of sound. Also, if vinyl-based sound quality is a priority then I would avoid any sort of receiver. It’s packed with veiling noise-related kit for a 2-channel vinyl system. You’re best with a purer chain which is what a 2-channel amp is all about. Receivers are great for surround sound and all-in-one convenience. They offer great value if you want a lot of features for not a great deal of cash. Hence, I’d advise having a good ol’think over a coffee and a choccie biccie and consider what you really want from your sound in terms of sound quality but also ease of use plus any lifestyle demands. There’s no right or wrong decisions here but, whatever direction you decide to take, you should really buy the right tools for the job to maximise your budget. I know you haven’t yet reviewed this but do you much about it? The garden speaker setup was really just an added bonus if the yamaha was any good as a standalone amp, forgetting its receiver features. I already have a full house Sonos setup. The garden side of that has been on the list of things to do for a while. I was merely thinking, put a Sonos Connect into one of the spare inputs on the amp/receiver and then the speakers connected to “B” on the receiver could feed the garden. I was also thinking, I could use the output on whichever amp I eventually choose, to feed the “analogue in” on the Sonos Connect so that, should I feel the need, I can enjoy my vinyl around the house. However, first and foremost, my primary listening position for vinyl will be in front of the turntable/amp with a decent hifi setup. That might make the picture a little clearer. Do you have any thoughts on the Denon PMA800NE? As an aside, I already have a Denon AVR-2400H for my TV setup with a Monitor Audio MASS 5.1 speaker system. And as I said previously, my current vinyl listening is limited to my Dansette. Hi Lee – you mean this one? https://theaudiophileman.com/800ne-amp-cd-network-denon-news/ I have yet to get too close to it but I wouldn’t be surprised to hear that it’s a decent/solid unit. That said, in audiophile terms, for the £450 it costs (and if you have that cash I’d encourage you to push it to £600), I could point you in a more audiophile direction. If you have a Sonos and a Denon AVR-2400H then I see your TV and multi-room needs covered for now. 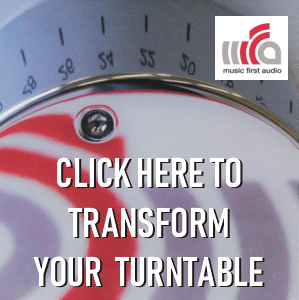 I’d plough your budget into a specialist vinyl setup if vinyl is at the front of your mind. Yes that’s the Denon I was referring to. I actually found it for £328, which is one of the reasons I gave it consideration. If it was £450 I probably wouldn’t have given it a second thought and £600 for the amp is definitley pushing it just a bit too far right now. All that said, I have looked a bit closer at the AM10 and I’m coming round to how it looks a bit more. At first glance I thought it looked plasticcy but now I’ve taken a closer look, it looks more like a brushed steel which I’m okay with. Another selling point of the AM10 is that it’s low profile. I do still prefer the look of the Denon. I like that it doesn’t have a digital display. I also note that it does have an “analogue” mode to bypass any digital wizardry. A further, yet superficial point, is that it would match with my existing Denon AVR. In summary, I’m pretty much settled on the Planar 3 and Concept 20 speakers. It’s just the amp that’s up in the air. I can probably guess the answer to this is that the AM10 plus a Rega Fono will give better sound, in audiophile terms, than the Denon? Hi Lee – yes, the Denon is a worthy option and you’re fine to wait on the external phono amp. Also consider the new low cost Mitchell & Johnson integrated too (just been released and I will review it soon). But yes, best sound will be heard from a 2-channel amp (of whatever type, AM10 is good) and external phono. Ended up getting the Planar 3, Denon PMA-800NE and Monitor Audio Bronze 2. Rega Fono to be added at a later date. Really enjoying this set up so far. I thought I was settled on the Concept 20’s but went along and tested those and a pair of the Bronze 2’s. The bronzes just pinched it for me. Thanks again for all the advice Paul. Good stuff – glad I could be of help and I hope you enjoy your new system! I’m new to the vinyl world and came across your website. I love the work you have done, and thank you for your multiple reviews and comments. I’m still debating over the Planar 1 or the Planar 2, which would go along with a Rega fono mini A2D (all to be purchased in North America). I was planning to use them with a Sonos Play:5 that I currently own (with the jack input). I prefer to spend my budget on the turntable itself and eventually upgrade to an amp + speaker system when budget will allow it. I am trying to understand what would be the biggest weaknesses of such setup vs amp + passive speakers. Will the listening experience be annihilated by using the Sonos instead of a ‘regular’ amp + speaker system? Thanks for your question, Frank. The Sonos is a great lifestyle system and does the whole multiroom thing very well indeed. To achieve that, though, and to remain valid in price terms it does compromise on sonic quality. For vinyl play, the best approach is a dedicated 2-channel system (i.e. turntable, amp, speakers). The Sonos can’t compete on those terms. That said, for now, as part of an ongoing upgrade process, by all means start off with the Sonos. A good quality turntable is a must, though. The source is the most important part of a vinyl system. This is where the information is taken, right from the grooves. The best turntable you can afford is paramount here. Then worry about the amp and speakers later. You won’t hear the full glory of the turntable in the Sonos chain but that sound quality will improve as you gradually upgrade the amp and speakers. Thank you for such quick feedback! In your opinion, would it be useful to spend an additional 500-600 CAD (300-350 GBP) on an amp + speakers combo instead of the Sonos? At this price point, are there any products you would recommend? Or would it be better to wait a little longer until the budget allows a better amp + speakers combo? No problem, Frank and yes, I would – you could try the Cambridge AM10 Topaz amp (£200) and Q Acoustics 3020s speakers. Again, thank you for your recommendations, I really appreciate it! Many thanks for your advice Paul, really appreciate it. As said before, going for the Planar 3 and the Brio amp may overstretch my budget a bit. Instead, I was thinking of just upgrading my phono preamp. 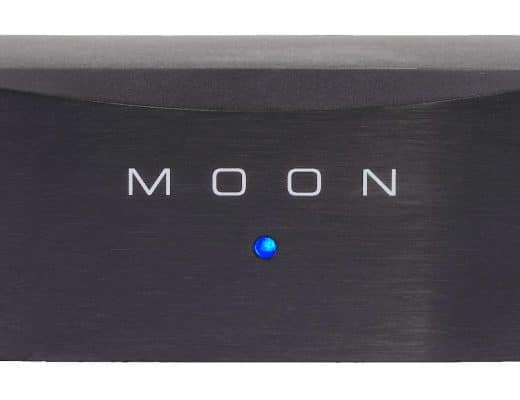 Currently, I have a C. Audio 551p phono preamp hooked to the Azur 640 C. Do you think this would be enough for the Planar 3 or would you recommend going for something like the Rega Fono MM MK3? Hi Ignacio – yes, the Rega Fono MM would be a big improvement. I’d recommend it if you’re budget allows. Thanks a lot for the quick reply, Paul. 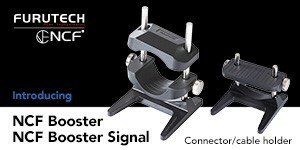 How does the Rega compare to the Schitt Mani (which I think you reviewed) or the C. Audio CP2? The Mani is excellent, Ignacio, but the higher cost of the Rega adds a bit of extra sound quality. If cash is tight, though, the Mani is a top quality choice. The Cambridge unit is also excellent but the same comments apply. Thanks again, Paul, really appreciate your advice. My doubt is the following: is it worth spending now on a phono preamp like the Rega to take full advantage of the Planar 3’s possibilities and later on buying an amp like the Brio (which I have read has a phono input of lower quality than my current C. Audio 551 p phono preamp) to replace my Azur 640 C? I will at some point replace my Azur 640 A CD player so I guess I will also need to upgrade my Azur amp. Yep, work from the source downwards – I’d advise on the phono amp first, then the new integrated amp. Thanks again, Paul. One additional question going a bit back to my first query. As said, I purchased a Planar 1 with which I’m pretty satisfied (your review contributed a lot I must say), in particular if I compare it with my previous Pro Ject Elemental. I have recently upgraded the Planar 1 with the Rega Performance pack which includes the Bias 2 cartridge. Is there a big and audible difference between the upgraded Planar 1 and the Planar 3 with the Elys cartridge and is the price difference justified, knowing that the Planar 3 will require an amp upgrade ? Hi Ignacio – yes, the Planar 3 is the better of the two. And it’s worth it. Many thanks again for the advice, Paul. How does the Planar 3 measure up to the Project The Classic for instance? From my short experience, I would tend to go with Rega but I’m no expert. Also, if in the end I decide to go for the Planar 3, would extra money be better spent on upgrading the phono pream (so from the C. Audio 551 P to the Rega Fono MM MK3 or even the Project Tube Box S2) or in getting a better cartridge than the Elys 2 the Planar 3 comes with (for instance, the Rega Exact)? H Ignacio – both decks are recommended although the Pro-Ject is rather more expensive so should be sonically superior. Both are recommended. I’d improve the cartridge first, then the phono amplifier. I have a RP1 with an Ortofon 3m red connected to a Rega Fono mini A2D. My amp is a Marantz PM6006, connecting to a set of Q Acoustics 3050i. If I were to plan for an upgrade for the next 1-2 years, what do you suggest would be the next (few) piece to upgrade/change? I feel like my RP1 is the bottleneck but I’m not sure if the other pieces are up to the same level at this stage. You’re dead right, SW – the RP1 is the next on the list. Depends on your budget but I would head for a £600 turntable to appreciate the next rung up, sonically. Something like a Rega Planar 3 or Pro-Ject RPM 3 would be a good idea. After that, look at the phono amp, then the amp, then the speakers. Paul.. What an incredible site. I feel like I’ve spent my last three evenings on here! Fantastic. You’re a credit to the community. Can I just check that’s right? And whether I need to buy any cables that run from the turntable to the phono-amp? Just checking so when I do take the plunge, I’m not missing essential wires! Yes, that list looks good. The turntable will feature cables to run to the phono amp. Thanks for joining the site. Hope you find it of some use. Thanks for your kind comments, James. If you like the look of the ELAC speakers then, sure, go for those. They’re very nice. No problems with them. If you can demo them, then I would heartily recommend that before you buy. In terms of a tuner? If possible, I would recommend a separate tuner unit. When you start bundling features into one chassis, you risk increasing electrical cross continuation: veiling noise increases. If the budget is low I would suggest looking at eBay for a second hand model. Cambridge used to do a nice tuner, others include Quad, Marantz, NAD, Arcam, some of Sony’s old tuners were decent too. The problem too with modern tuners, building into all-in-one systems, is the generally nasty tuner-on-a-chip approach which limits sound quality. They squeeze FM, DAB and 101 other things onto this chip and it sounds a bit processed. So, going vintage might be a good idea here too. For example, the best tuner you buy is a (professionally) reconditioned Leak Trough Line from the 1950s! Thank you, Paul. I’ll go check out those ELACs and the Qs. I’m already finding used tuners in the area for $20, so splendid idea. I need some help and you seem like a great and extremely knowledgable guy. I have scoured the internet for the past 2 hours but cannot find an answer to a -according to me- simple question. I just ordered the Rega Planar 1, which has a UK power cable, right? But I live in Belgium. So what cable will I need to power this beauty? (could you even give me a link, maybe?) Or would you recommend just using a travel adapter? Do I need to worry about voltage as well? I hope you can provide me with an answer. Not too sure about that first bit Benoit but I’ll try to help 🙂 Firstly, have you tried a local dealer or retail source? They will be geared up in electric terms. Hi Benoit – I need to know more about this order of yours before can advise. Just to be clear, have you ordered the turntable direct from the UK to be delivered and used by you in Belguim or have you ordered one from a local dealer? Because you will be using one of these: http://internationalconfig.com/power-cords-for-belgium-ac-power-cords.asp, I’m just scratching my head a touch why you might need an adaptor if a local dealer is selling it to you and, if Rega UK is selling it direct, why they are not automatically sorting it for you from their end? Or is this low cost second hand purchase? Hi Paul – I bought it off Amazon UK, from a seller located in the UK. (https://www.amazon.co.uk/s?ie=UTF8&me=A17AKBRF4GJ1XD&page=1) It arrives between Thursday and Saturday. Took a look at your link, but I don’t think those are the right cables, the Rega Planar 1 has a round hole though, right? Kind of like the end of this cable: https://www.av-connection.com/?PGr=11219 I think the mA is wrong on this one though. Good stuff – I’ll be interested in what they say, Benoit. I was at the Bristol Hi-Fi show last weekend and guess who was my first interview there…Joenit! Your Rega people! Bizarre, eh? So, if you need something to get their attention, tell them I sent you, say I interviewed their company in Bristol last weekend re Totem Acoustic and say I spoke to Bram Verellen their Sales Director – show report in on the Home page if you want to see more. 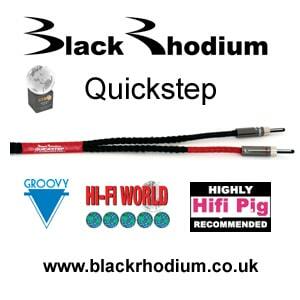 Hopefully that will give you a fast track to a solution for your Rega. Hi Paul – After bouncing around between different Belgian Rega dealers, I ended up with one near to my hometown of Ghent. I’ll link him below, should you ever receive the same question from someone. Bought a Rega Planar 2 adaptor/cable, which has the same specs as a Rega Planar 1 one, for 25 euros. All set up now and listening to a record on my couch. 🙂 Thanks for the help! Great stuff Benoit, thanks for the update – and thanks for the link. Thanks for the excellent information. I was all set to grab a Planar 1+ until I read your companion review. I have recently moved my hifi into a smaller room, changed my speakers and would now like to add a turntable. I have a Cyrus 8AVS2 (circa 2007) amplifier and Q-Acoustics 3010i speakers. I was considering the Project Essential III, but ended up settling on the Planar 1+. I am now seriously considering the vanilla Planar 1 and a pre-amp. (1) Would the Planar 1 be a good match for these components? 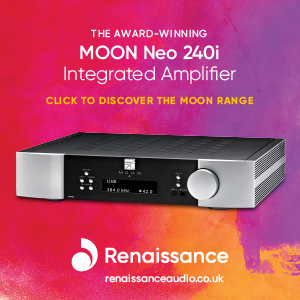 (2) If so, would you go for Rega’s own Mini-Fono preamp or is there another option in the £100-150 price range that would work well with the above? Thanks for your questions, Mark. Yep, the Planar 1 should be fine with those and the Rega Fono would be an ideal fit, I reckon. Hi Paul, Thanks for your ideas and comments. As one of the group go for my first setup and I was thinking about this combination, to see what you think. Rega Planar 1+ONKYO-A-9110+Q3020i. This would be enough to start work? Any other thoughts for a 700€ budget? I advice would go directly to the Rega Planar 2 and go updating little by little? Thank you for everything. A greeting and sorry for my english. Hi Diego – yes, yes, I don’t see why not. I’ve always liked the Onkyo amplifier module. Yep, go for it. Any upgrade at this point should be the turntable, yes. If you’re looking at Euros the a Pro-Ject might offer better value and give you more for your money. Grab the most expensive one for your budget. The Classic a bit over your budget, is nice or the RPM 5.1 perhaps? Thank you very much Paul!!! Not a problem, glad to be of help Diego. All your write-ups are fantastic! They make for A-grade reading. Now, sorry for my ignorance (complete beginner), but based on previous comments, you recommended a Rega Fono Mini to plug into a Cambridge AM10. Are you not able to plug the Rega Planar 1 straight into the AM10? I’m only making this assumption as the AM10 includes a phono preamp, right? Hi Alon and yes you’re absolutely right. You can plug the Rega directly into the Cambridge, into the sockets marked ‘phono’. This is a built-in phono amplifier. I was only recommending an external model, such as the Rega, if you wanted to improve sound quality. An external model reduces electrical contamination and lowers the noise to reveal more detail. If you’re low on cash though, using the built-in model is fine.